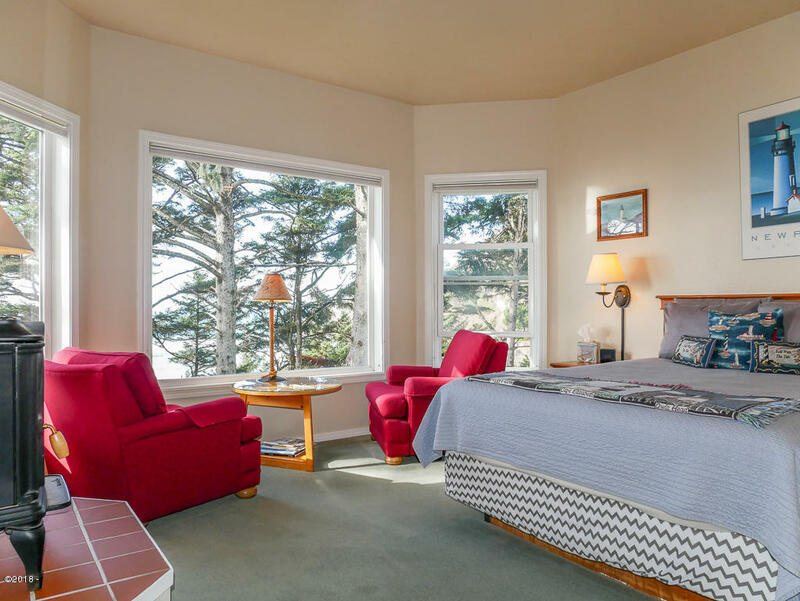 Currently a popular Bed and Breakfast, this 8-bedroom, 8-bathroom ocean view home would make an extraordinary personal residence. 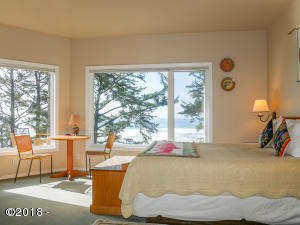 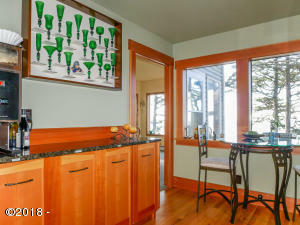 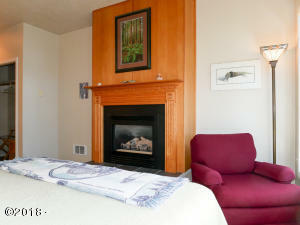 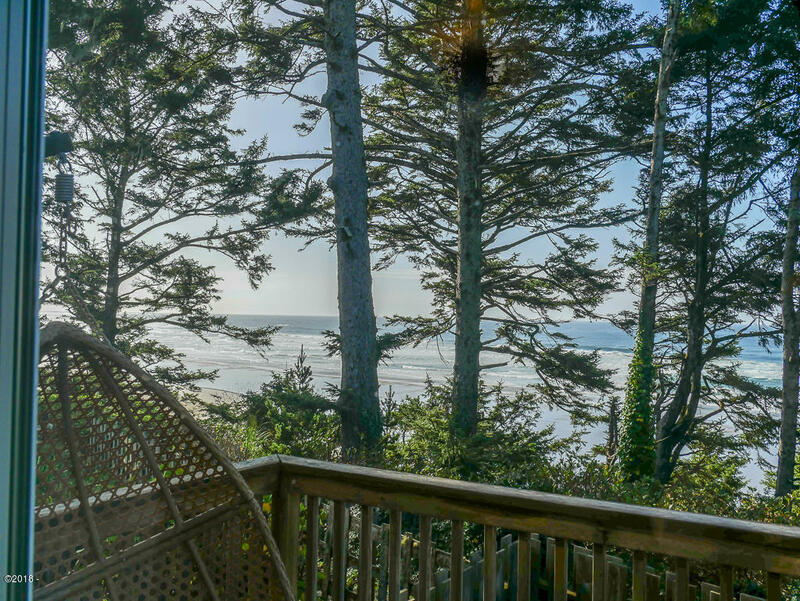 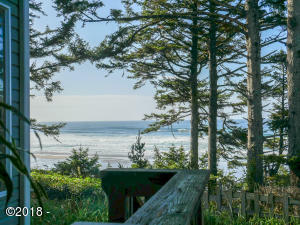 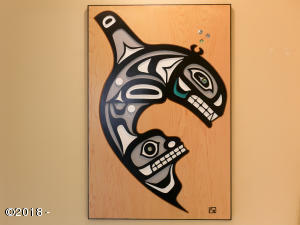 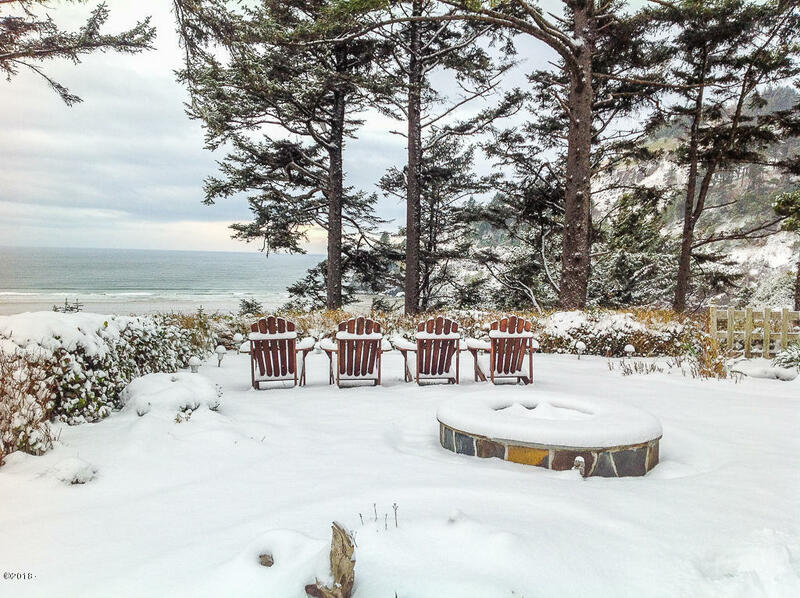 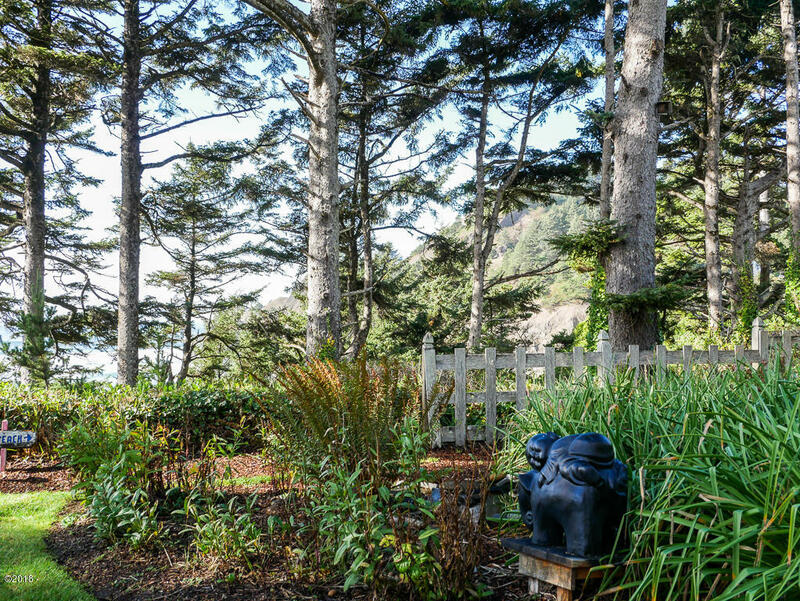 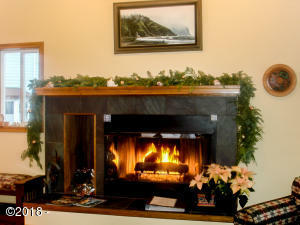 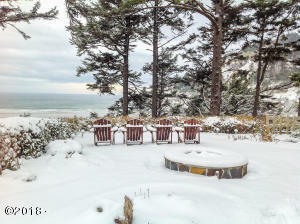 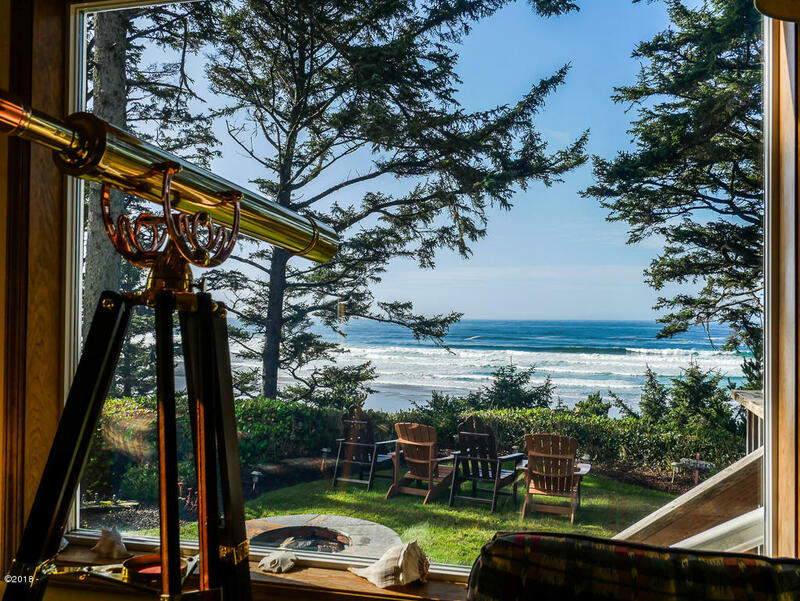 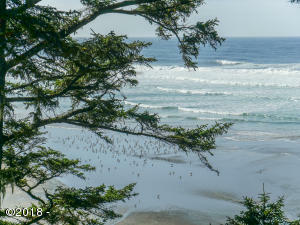 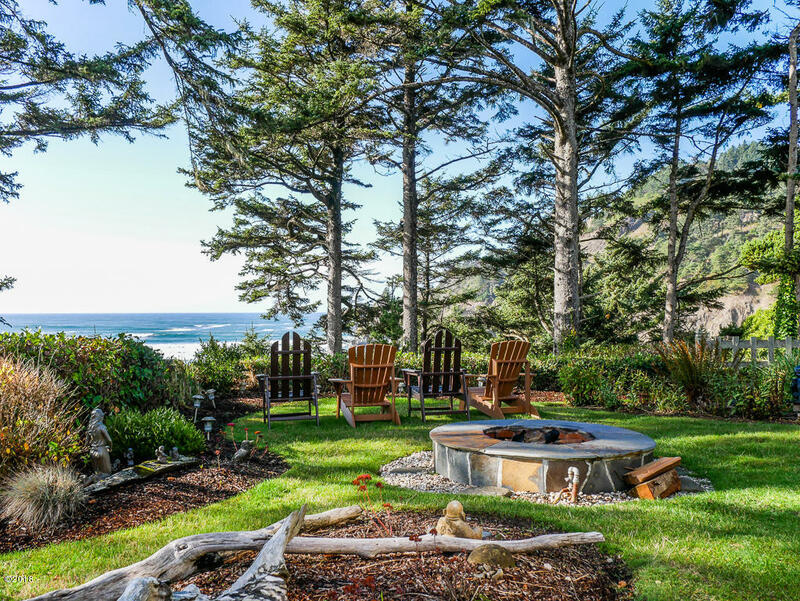 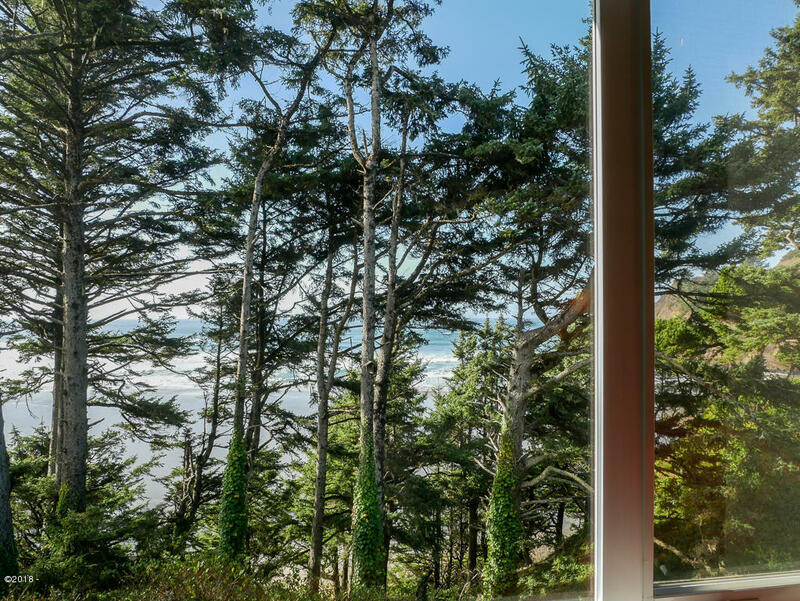 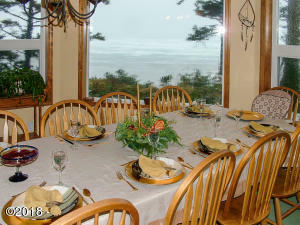 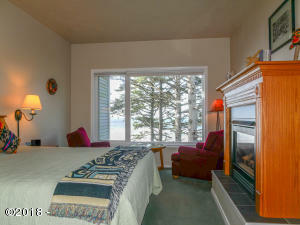 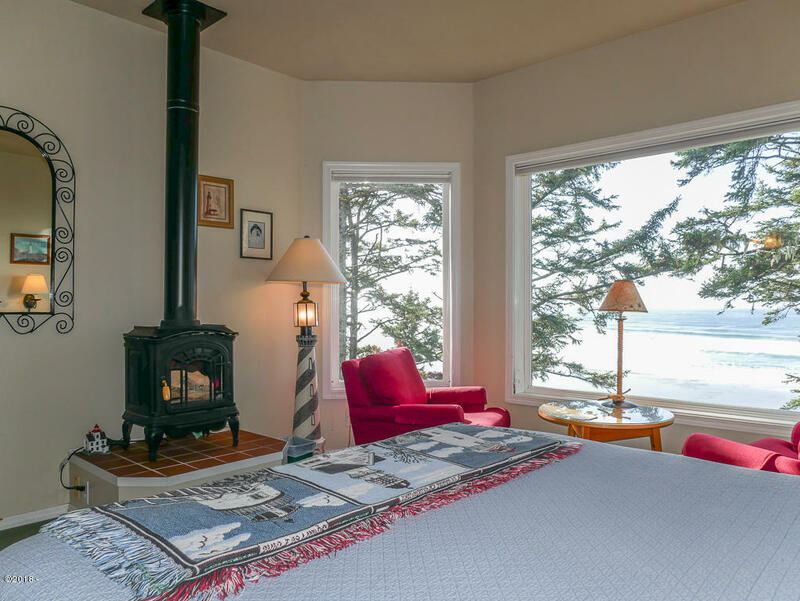 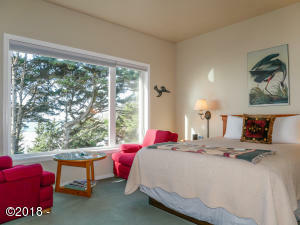 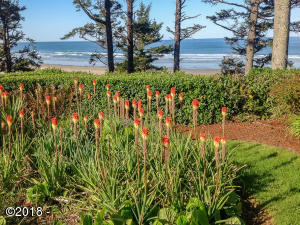 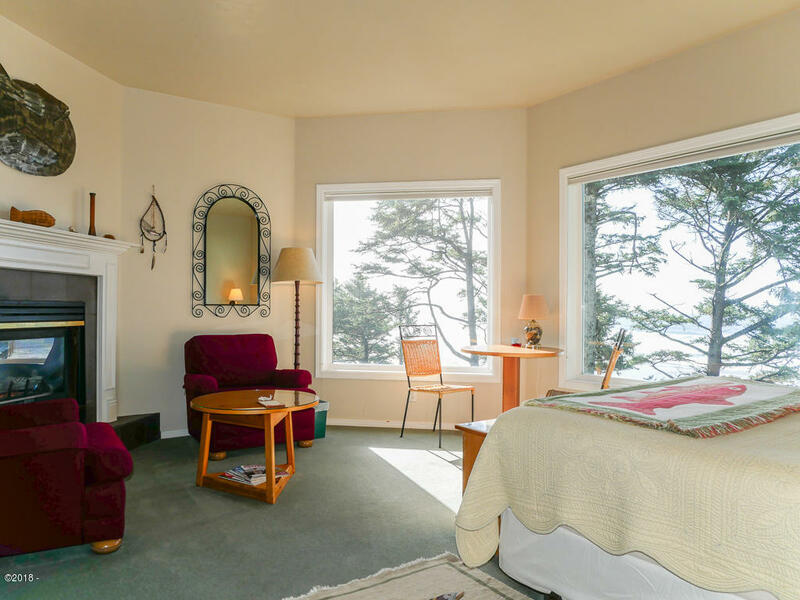 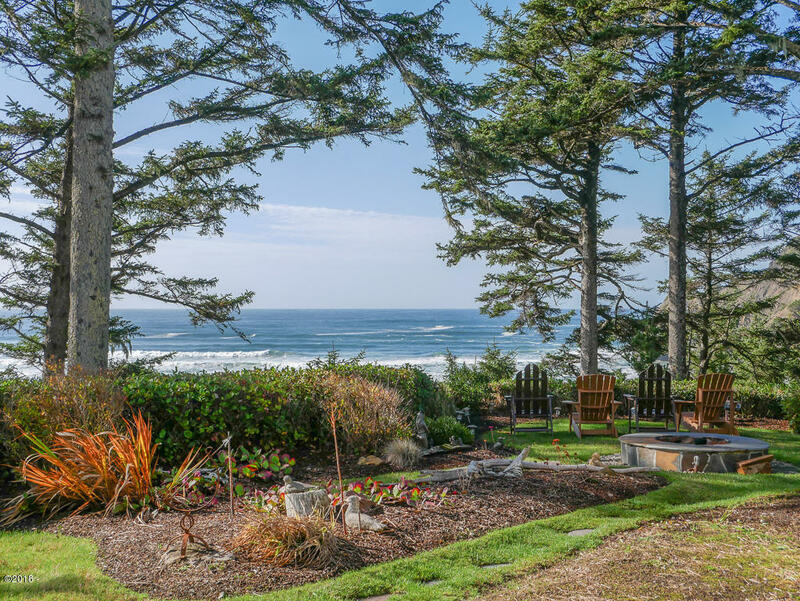 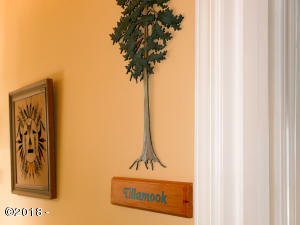 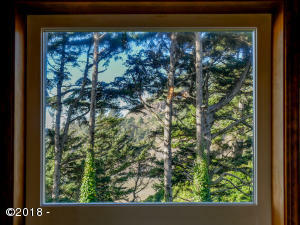 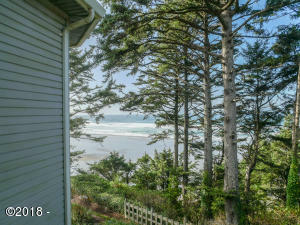 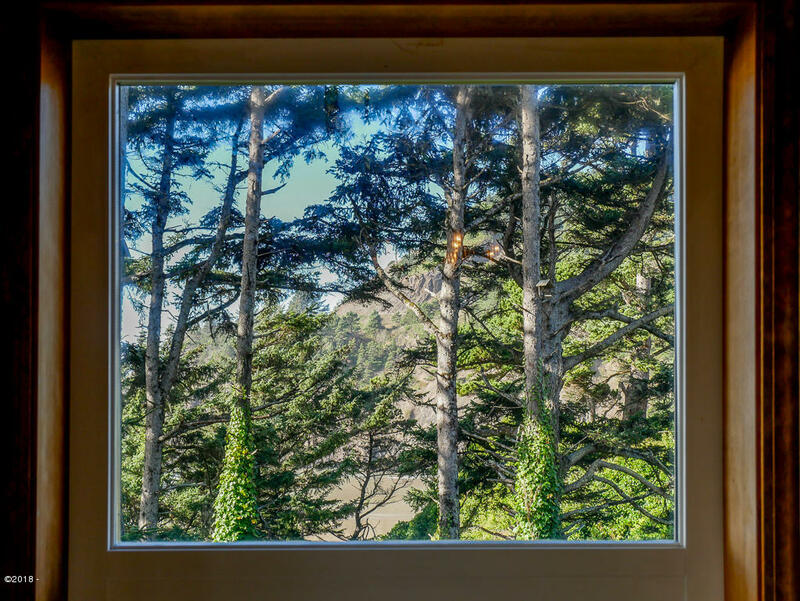 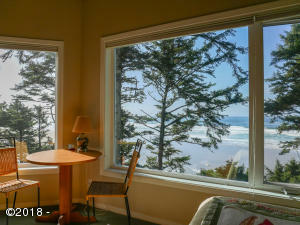 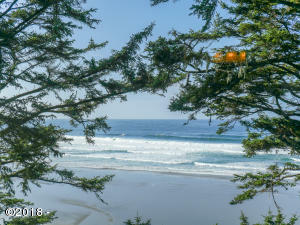 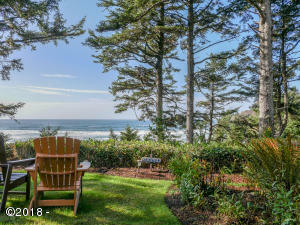 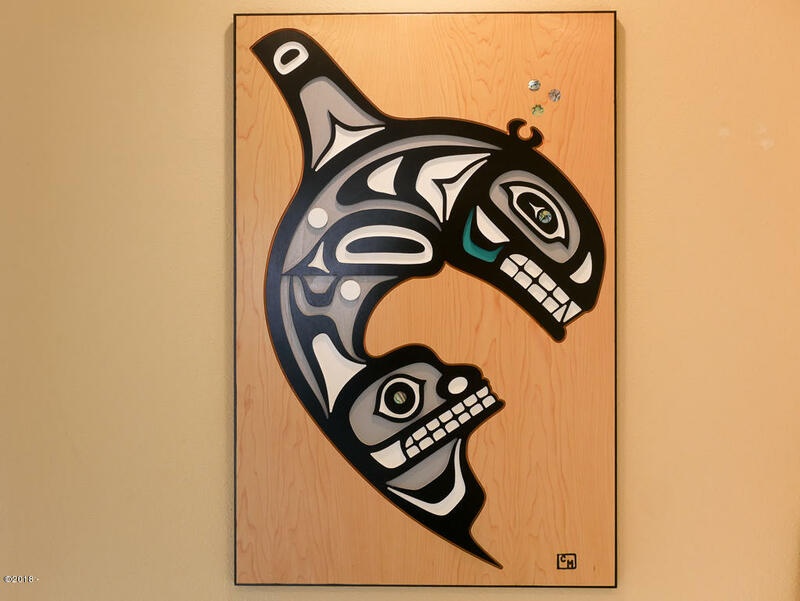 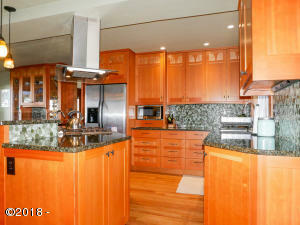 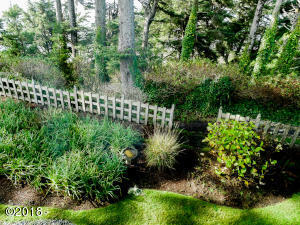 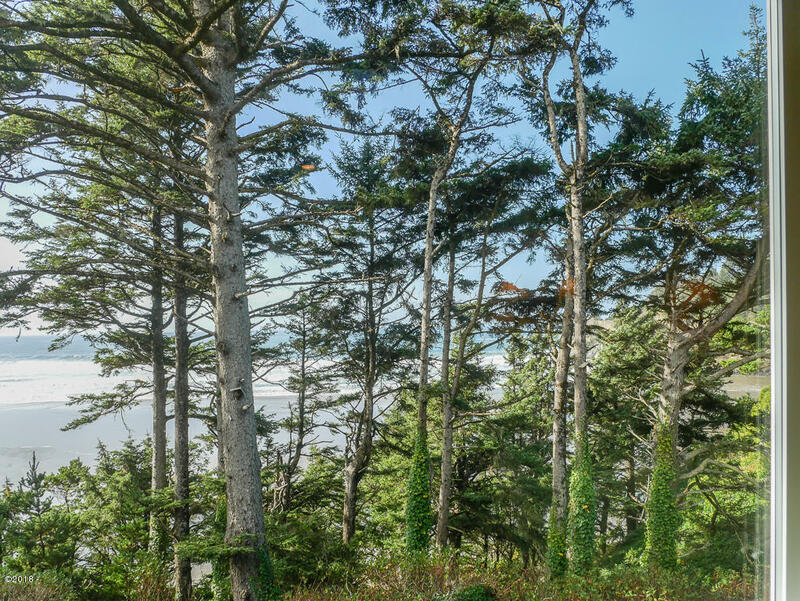 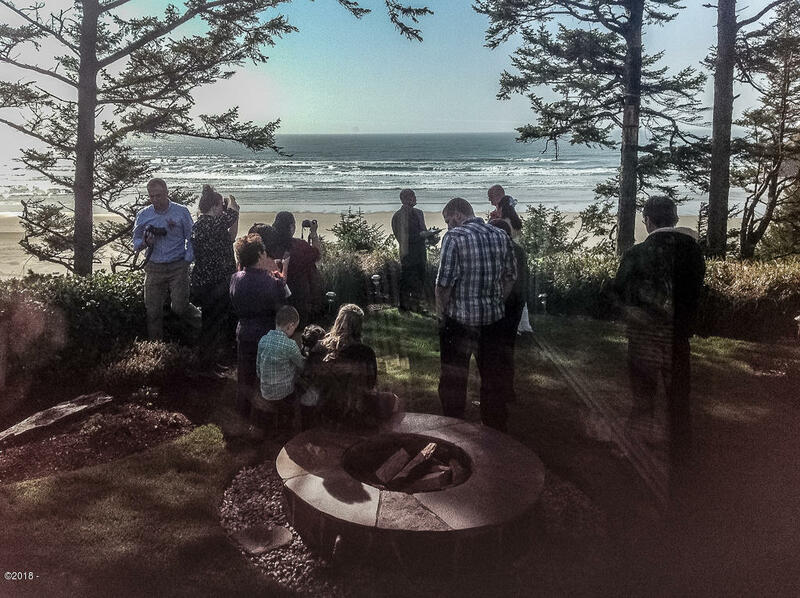 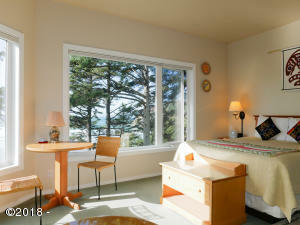 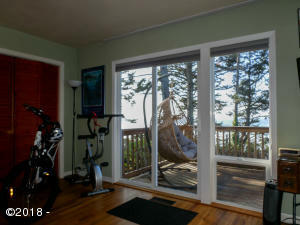 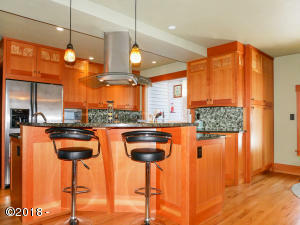 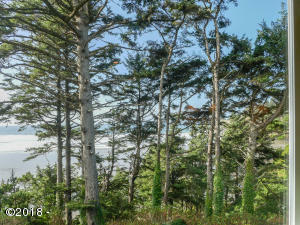 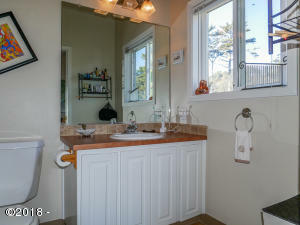 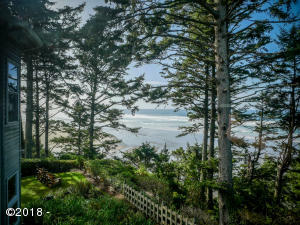 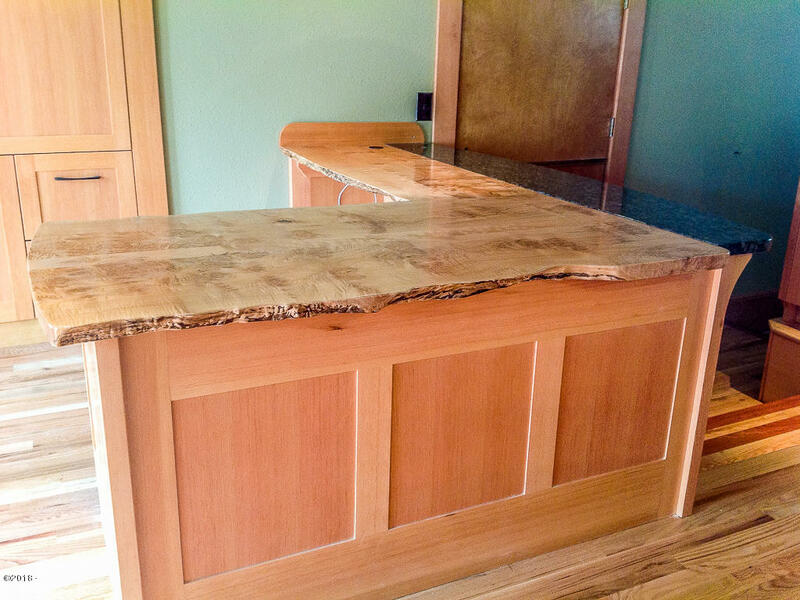 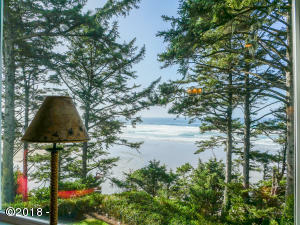 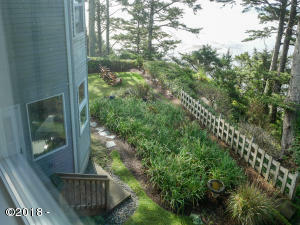 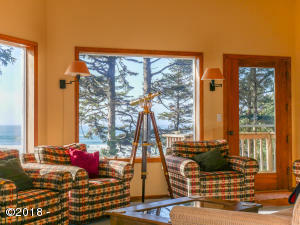 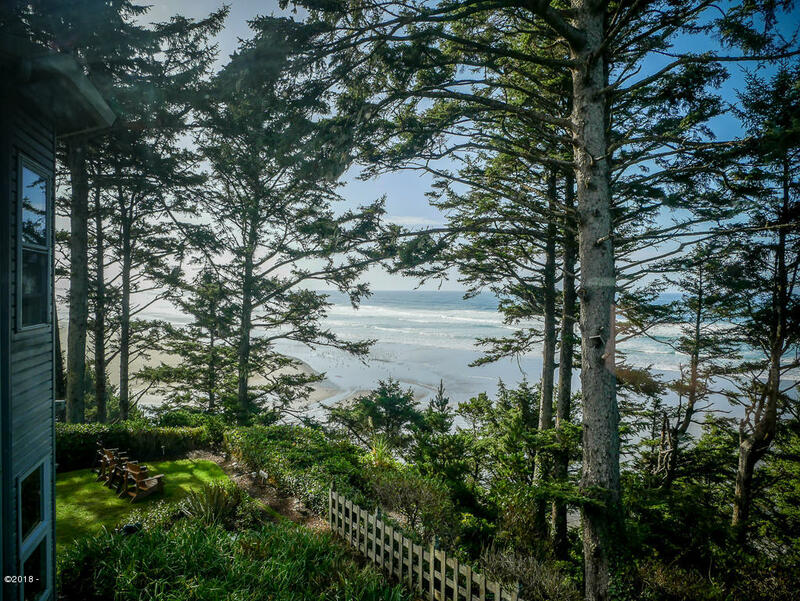 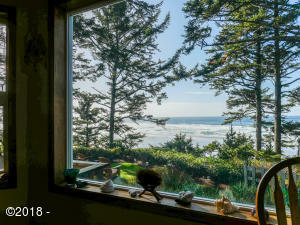 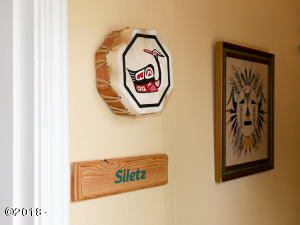 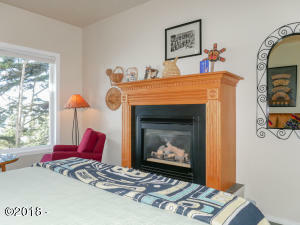 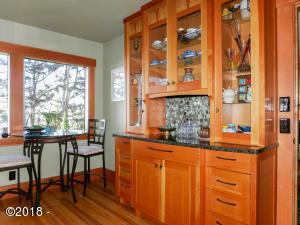 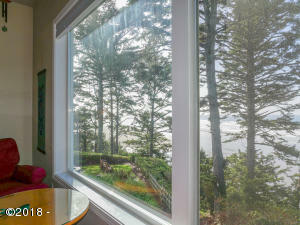 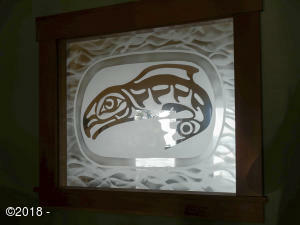 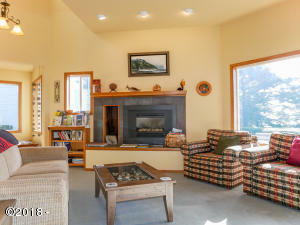 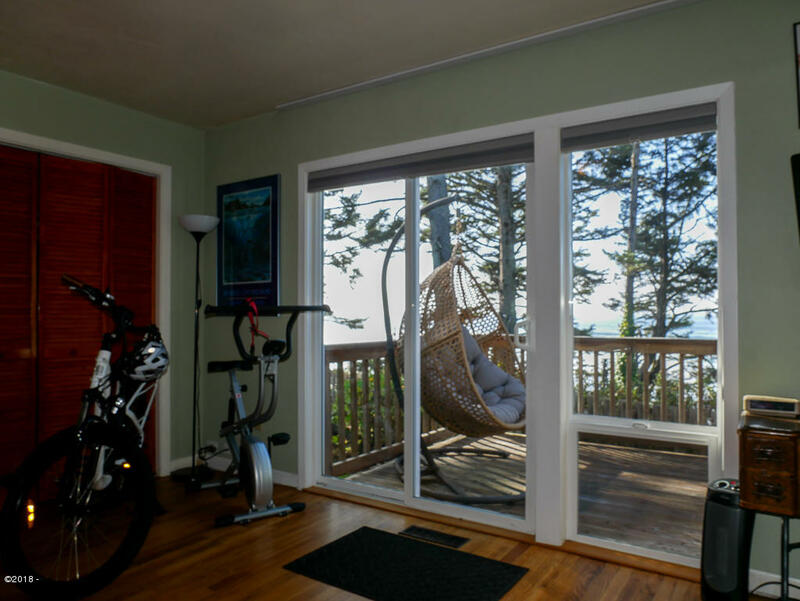 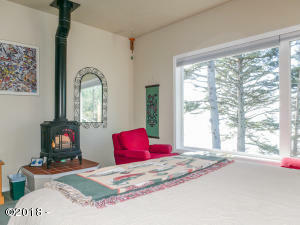 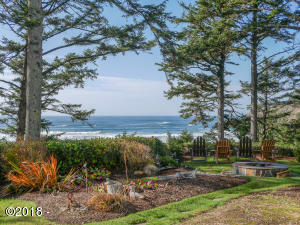 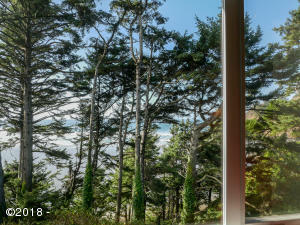 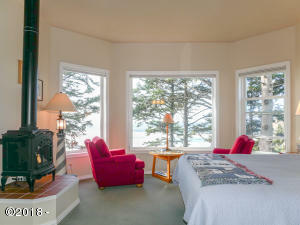 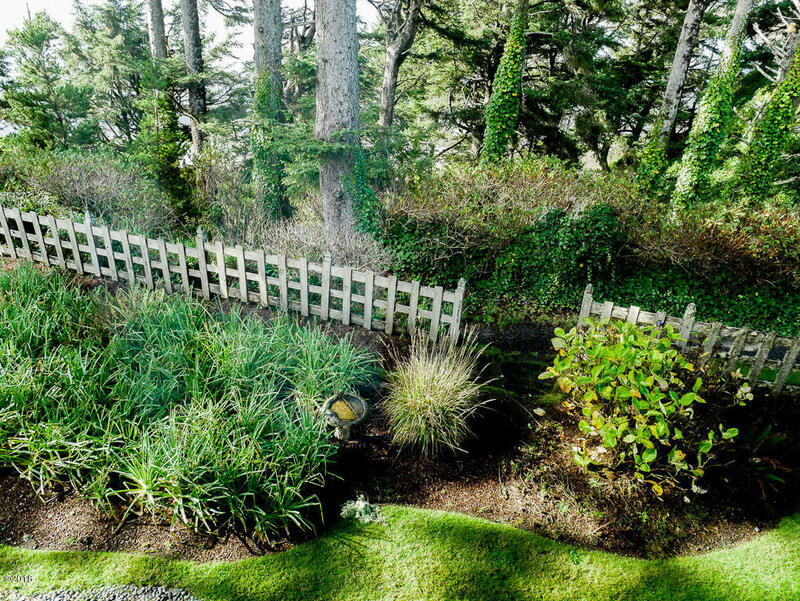 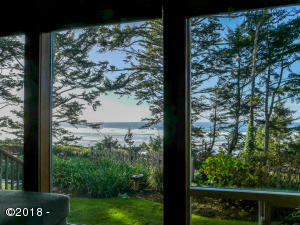 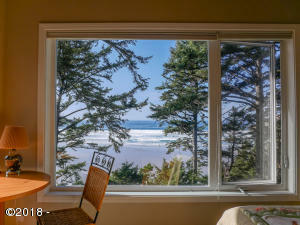 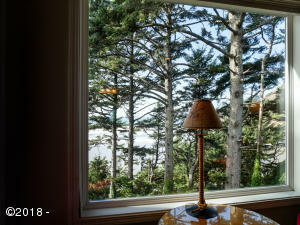 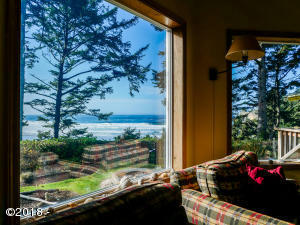 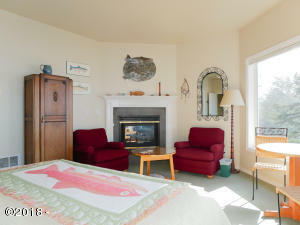 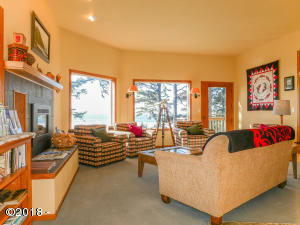 It sits atop a lightly wooded bluff overlooking the Pacific Ocean with short trail to secluded strip of beach. 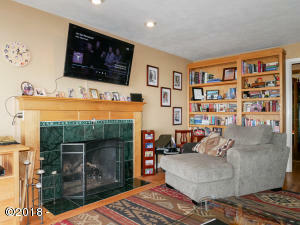 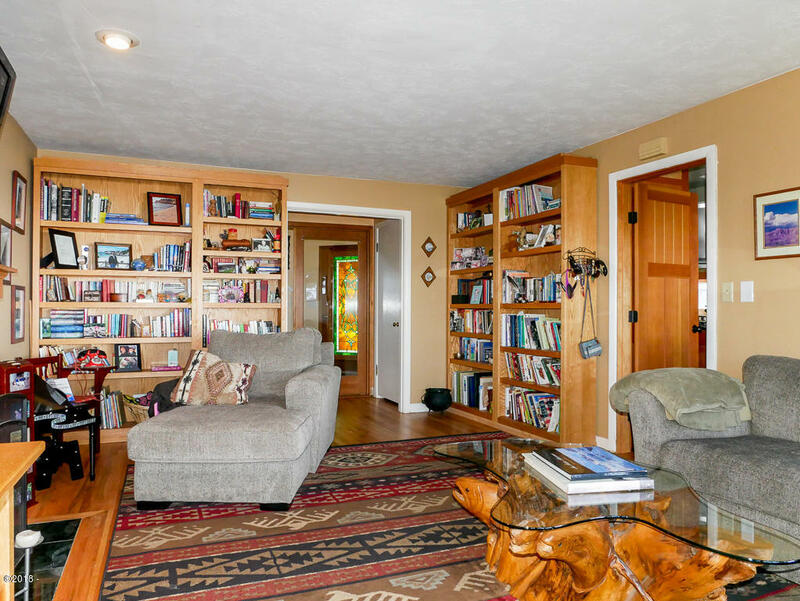 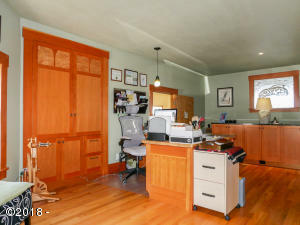 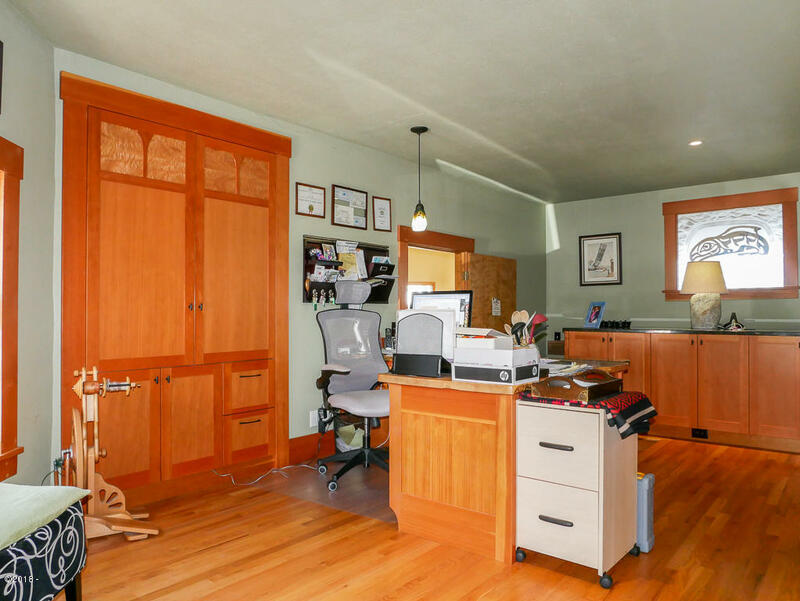 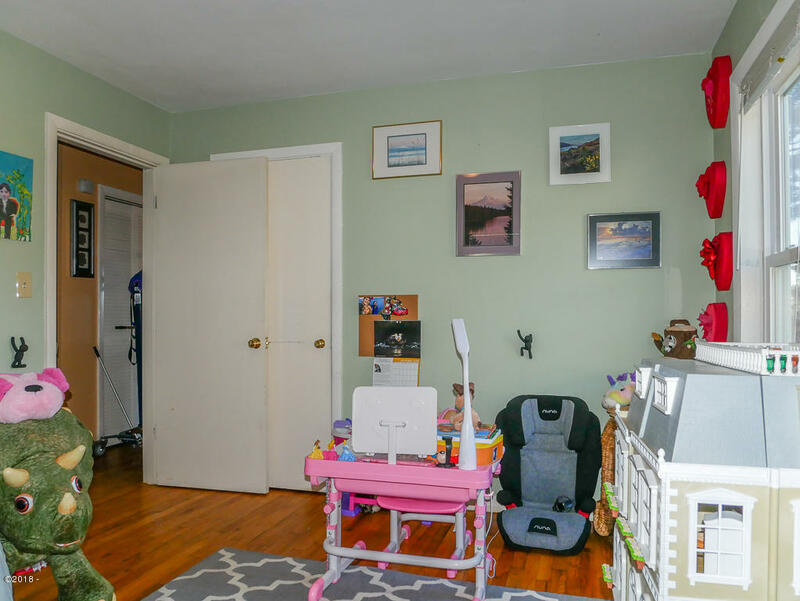 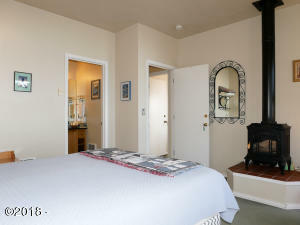 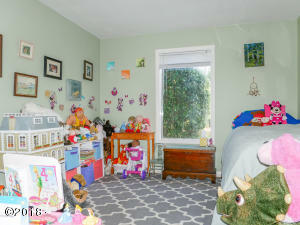 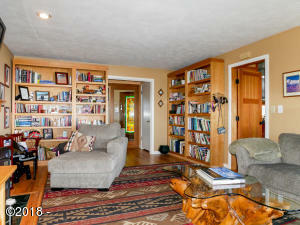 Main floor has gourmet kitchen with office area, two living rooms with gas fireplaces, formal dining room, 2 bedrooms and 2 bathrooms. 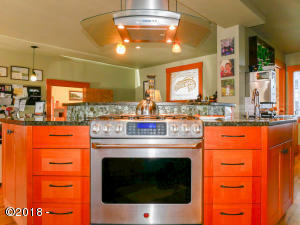 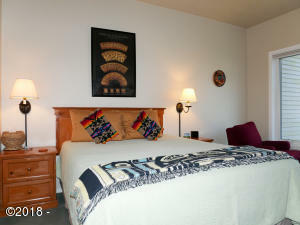 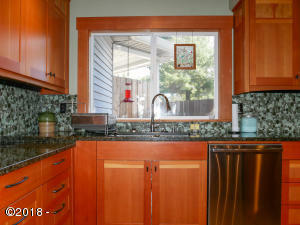 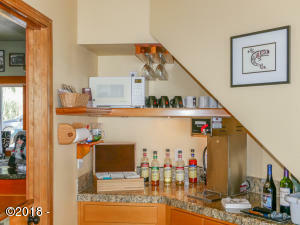 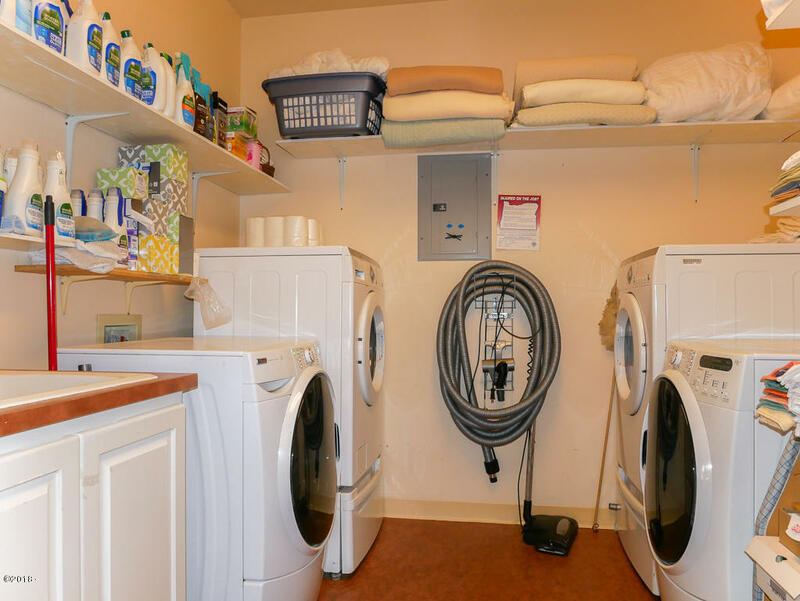 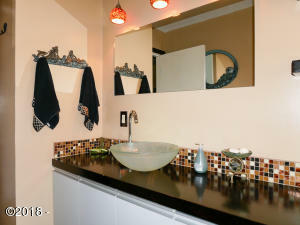 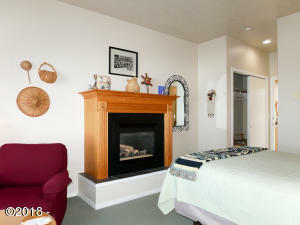 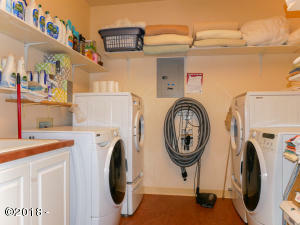 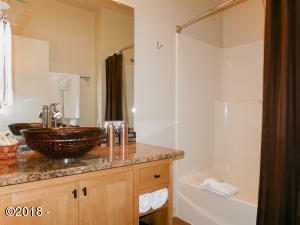 The upper level has 6 bedrooms, 6 bathrooms and laundry room with 2 washers, 2 dryers and utility sink. 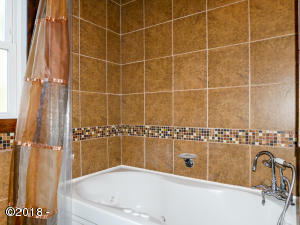 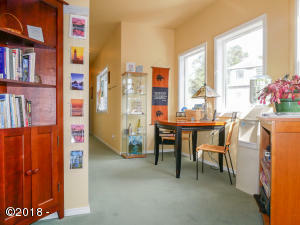 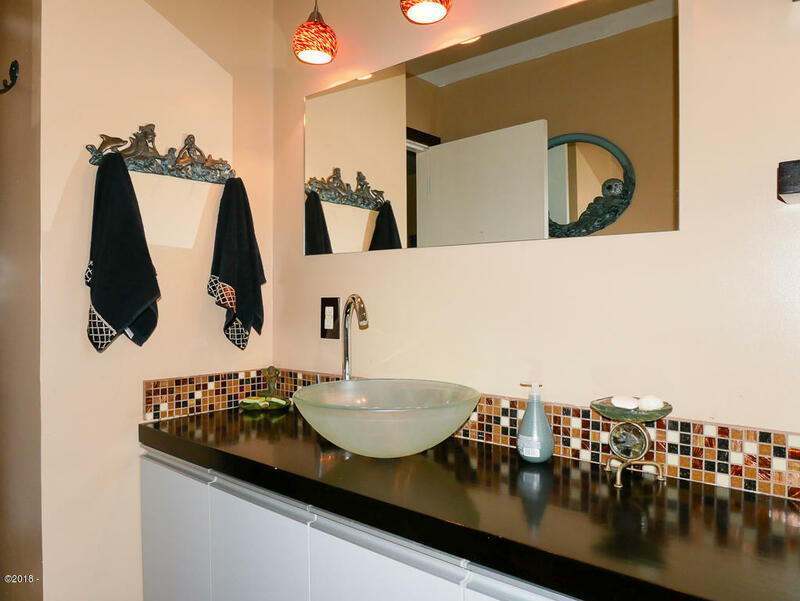 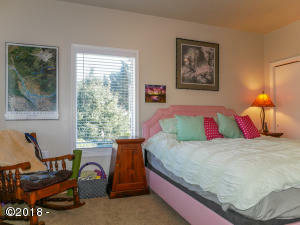 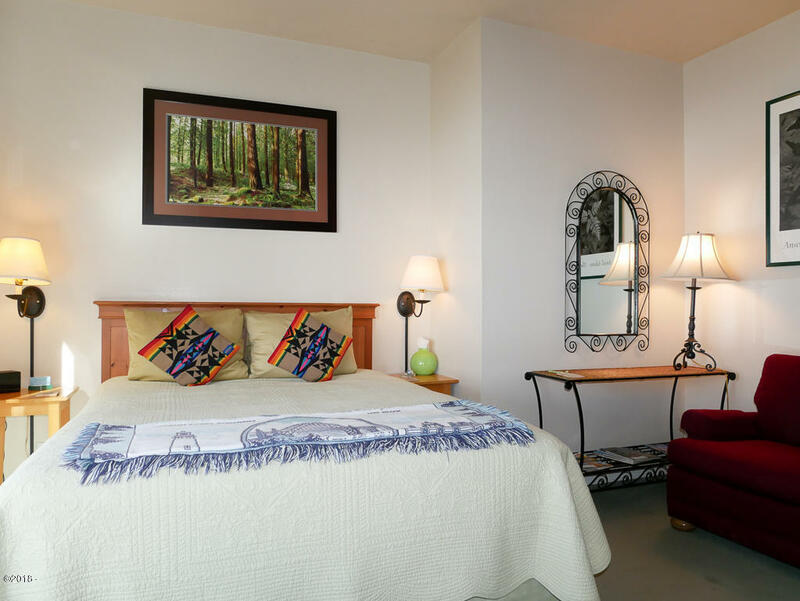 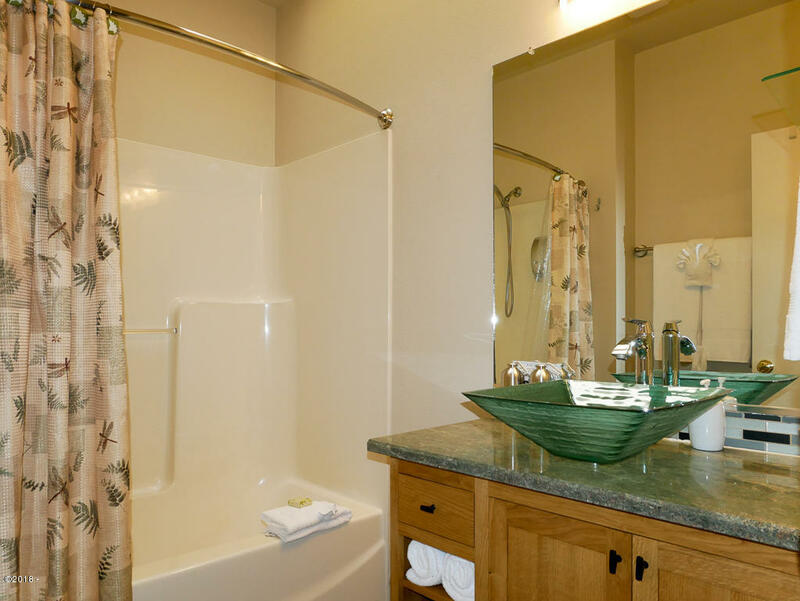 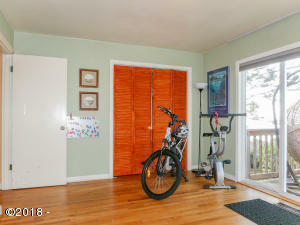 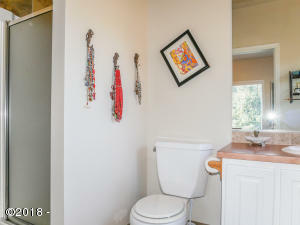 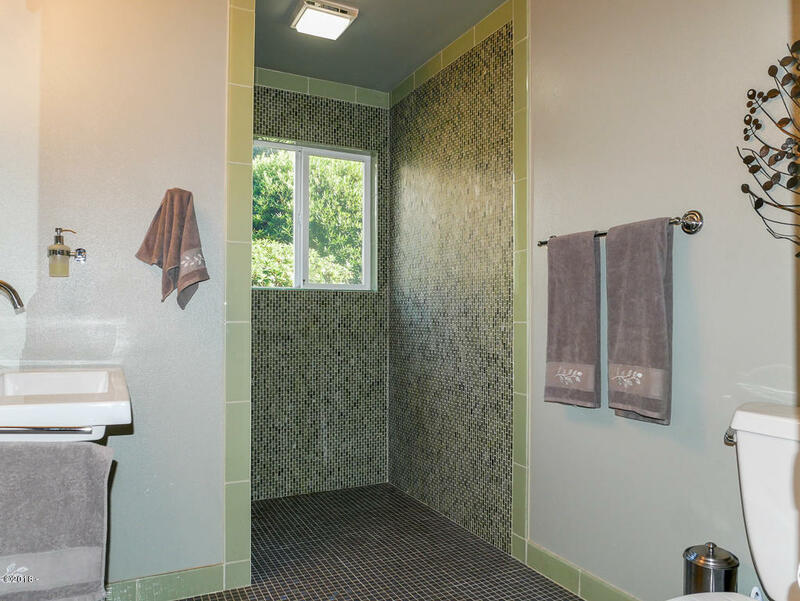 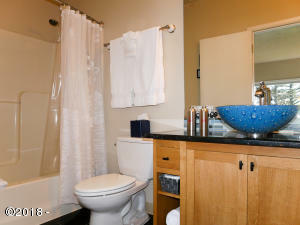 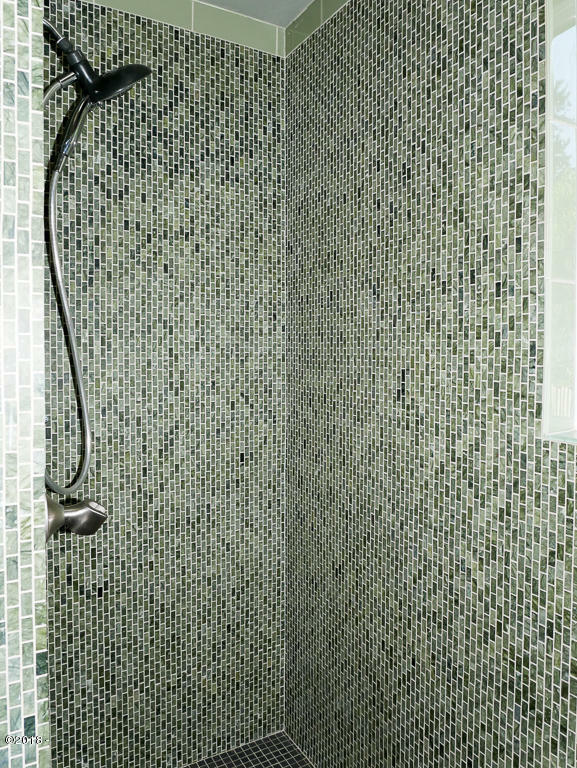 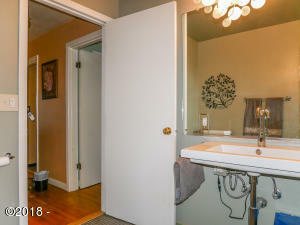 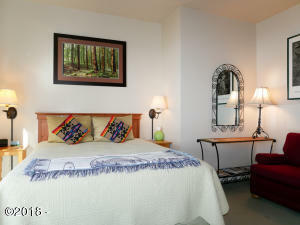 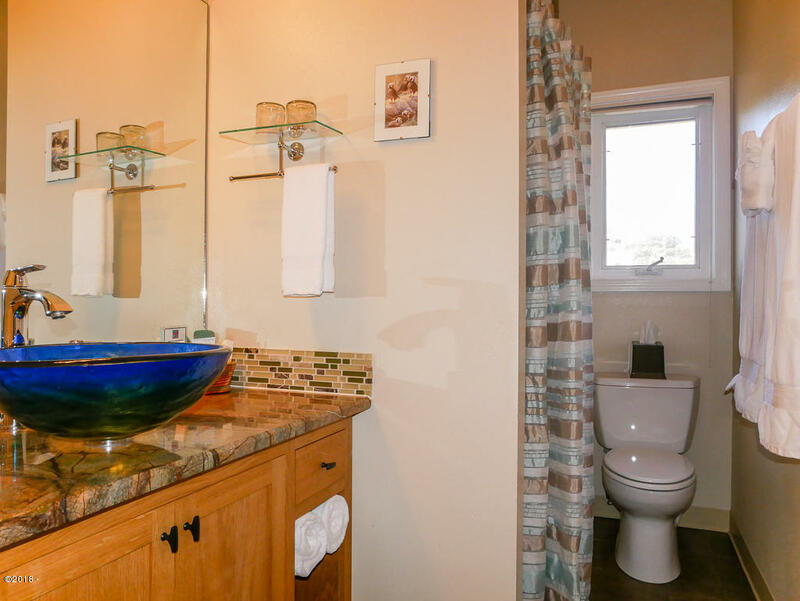 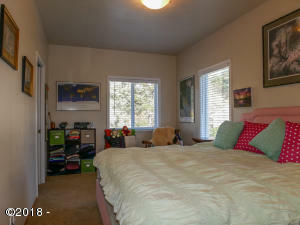 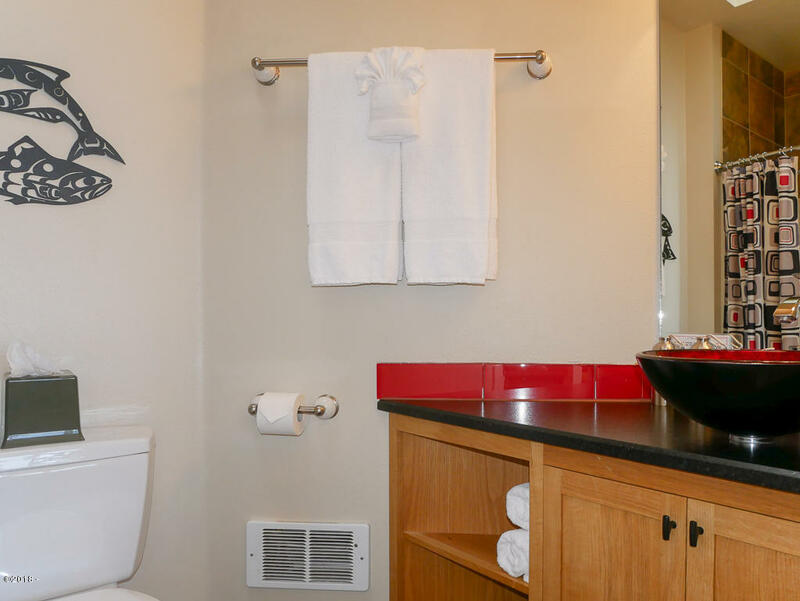 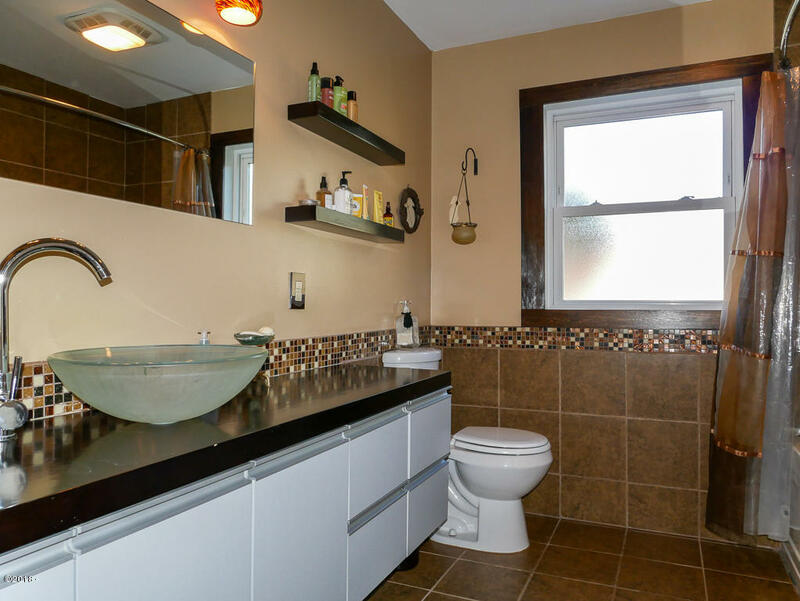 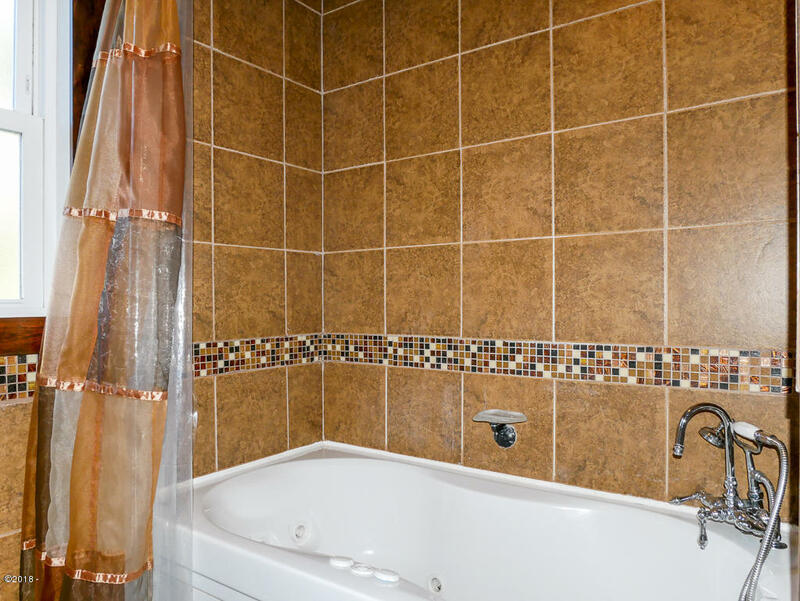 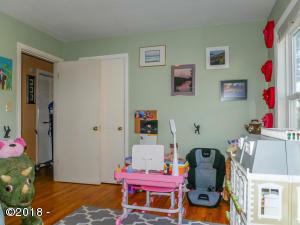 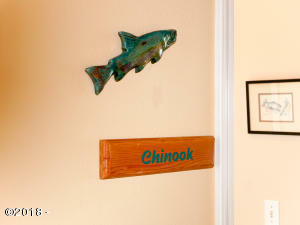 Main floor is ramped for wheelchair access and one bathroom is fully accessible with roll-in shower. 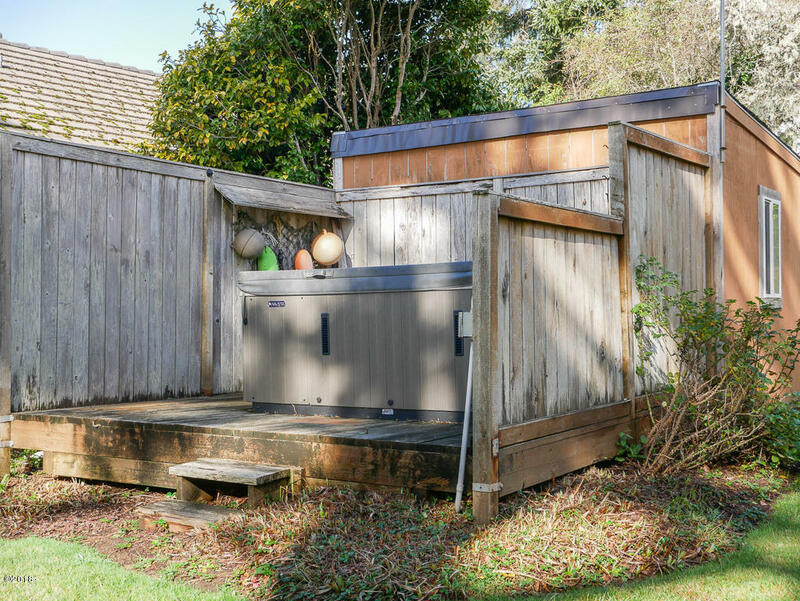 Fenced yard and hot tub are great for enjoying the outdoors. 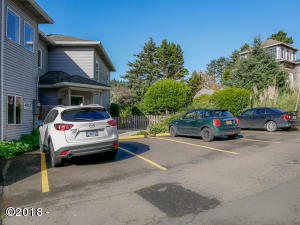 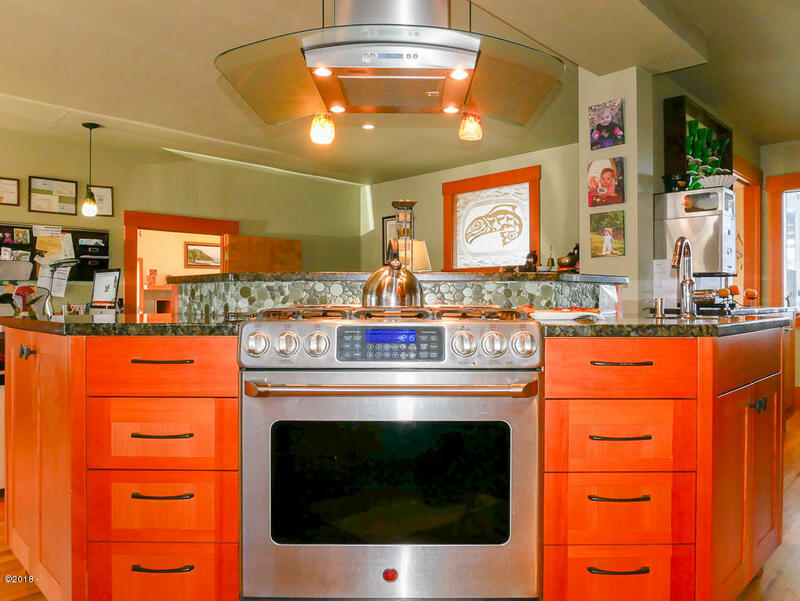 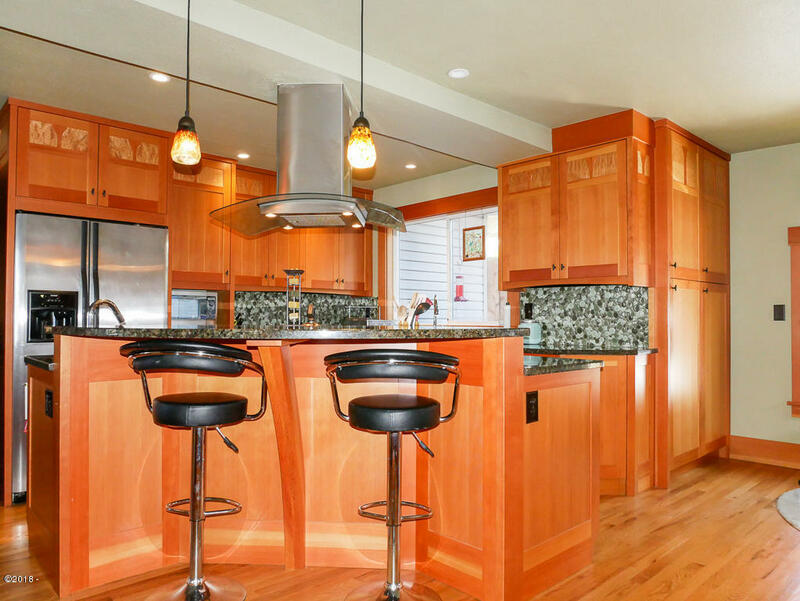 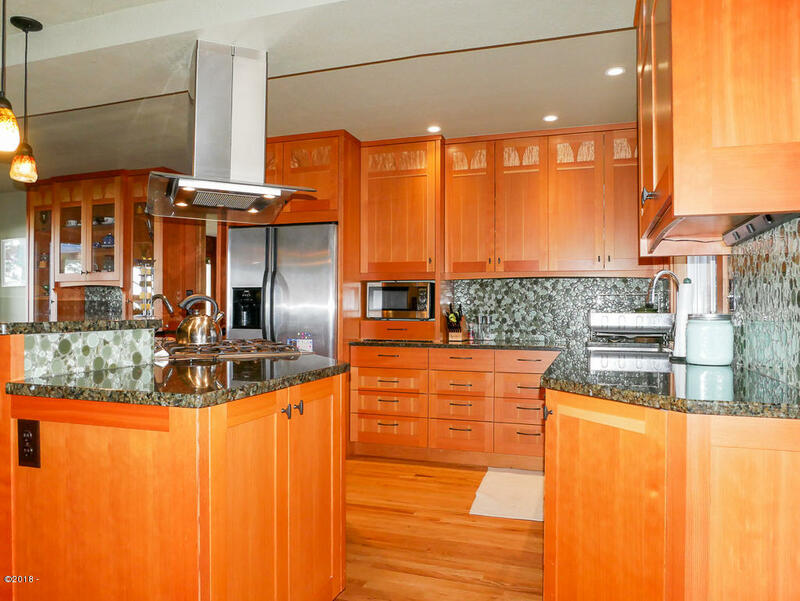 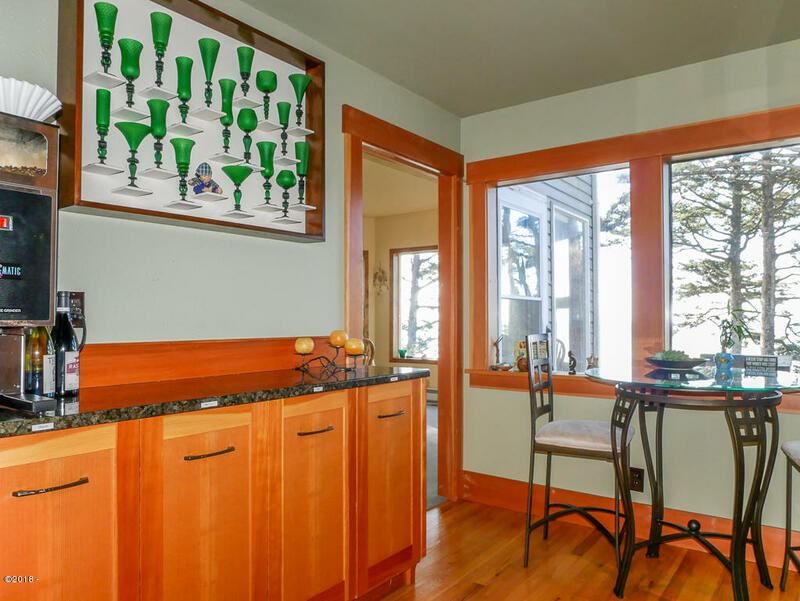 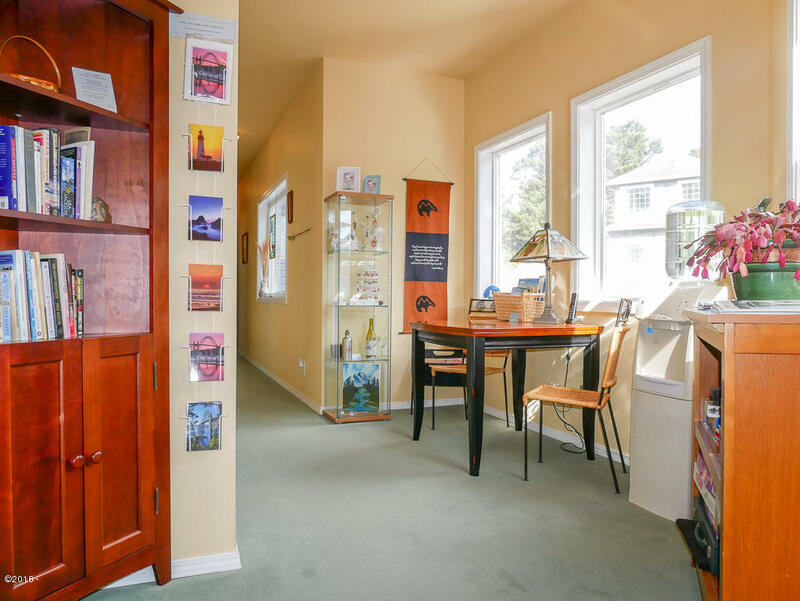 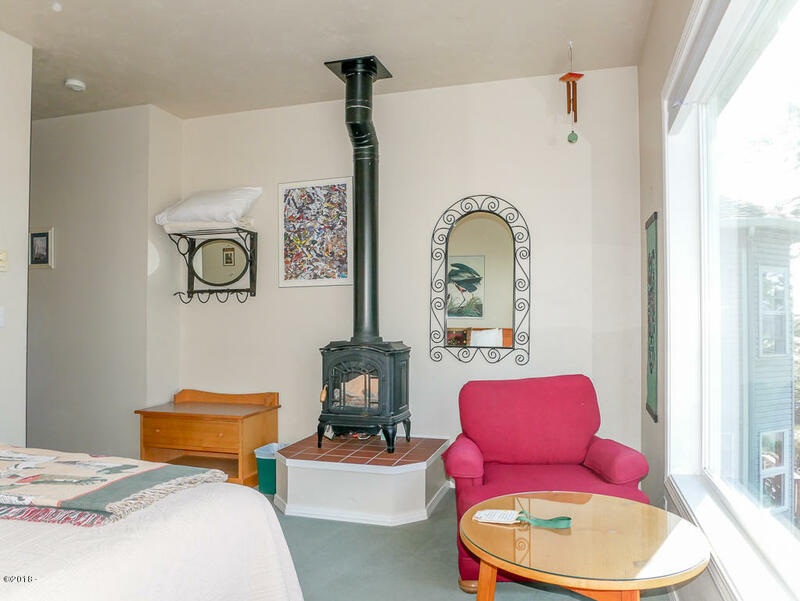 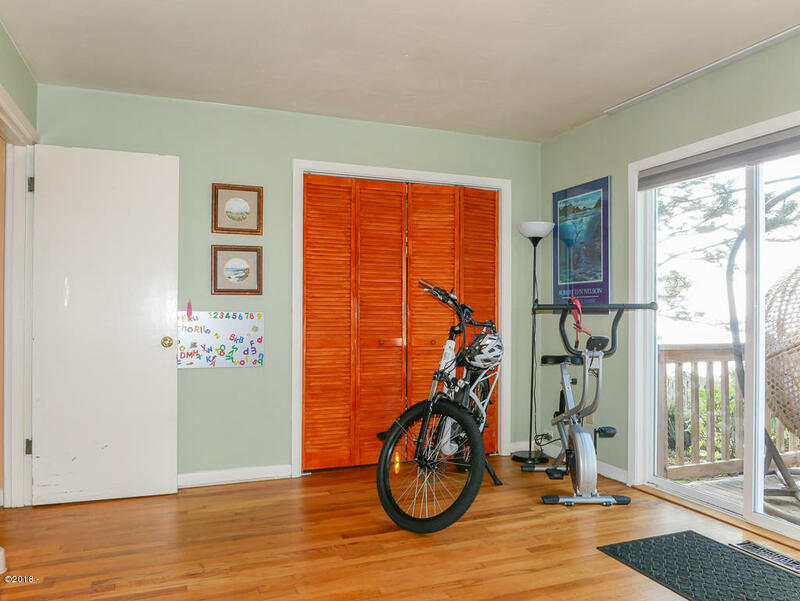 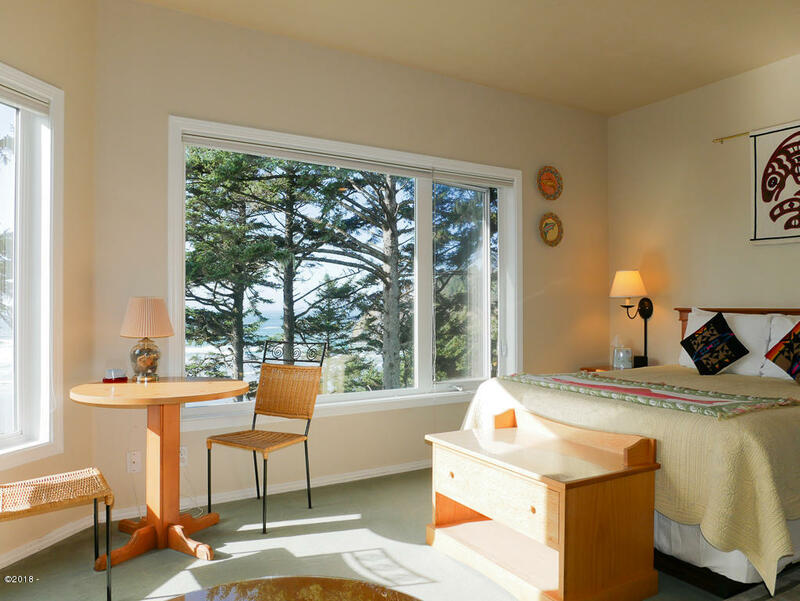 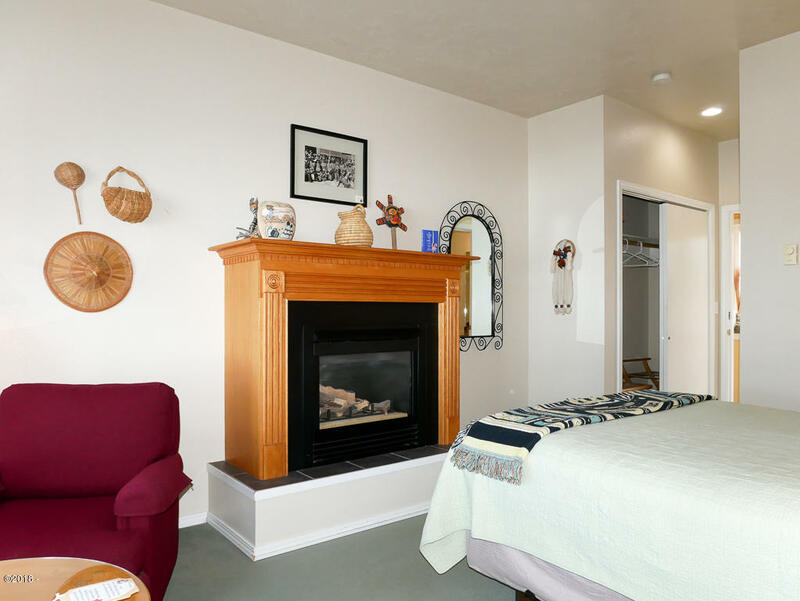 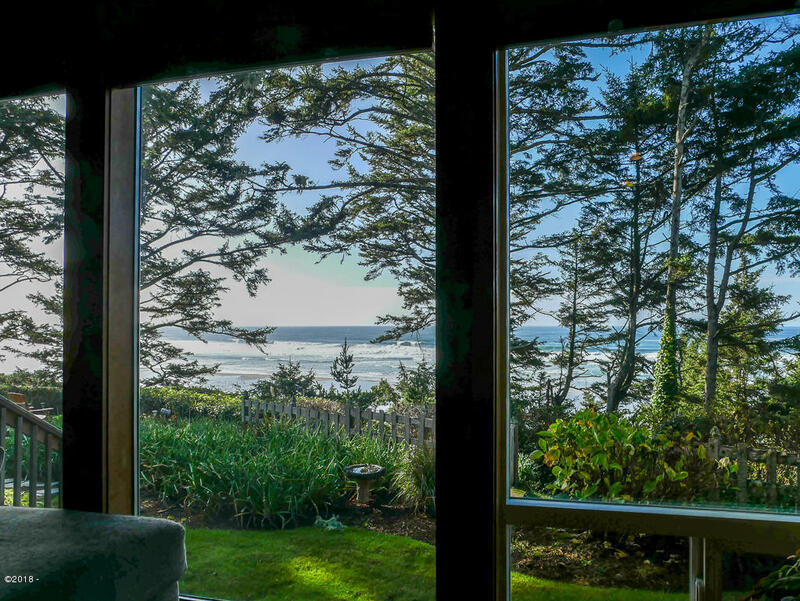 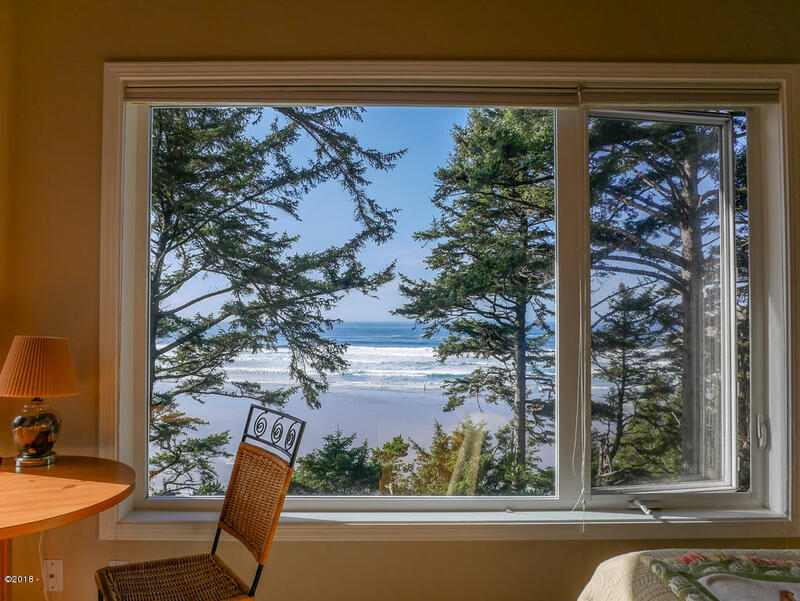 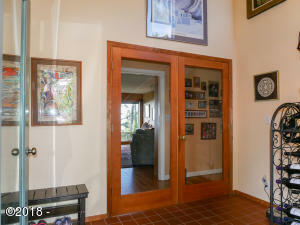 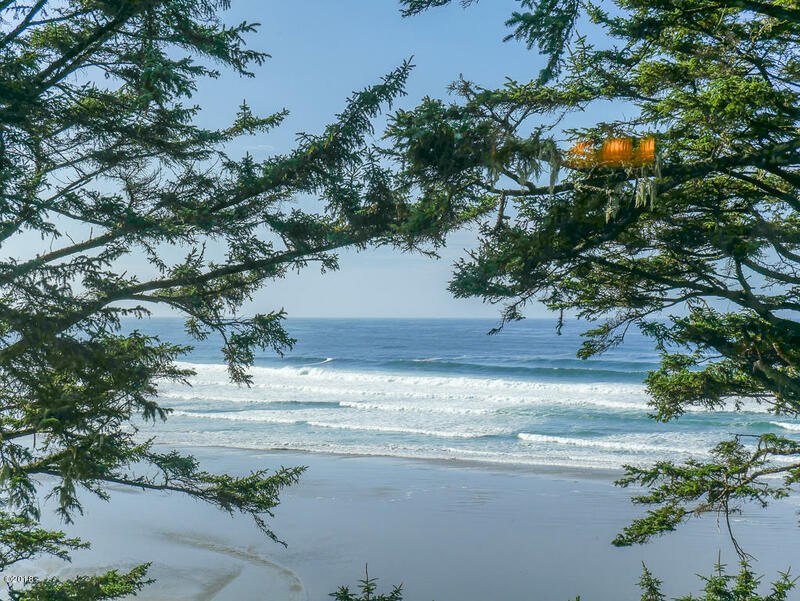 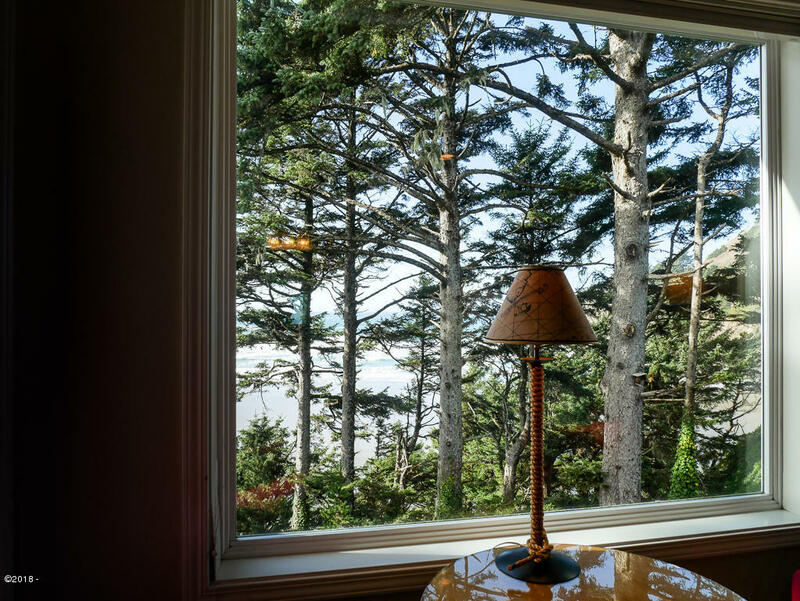 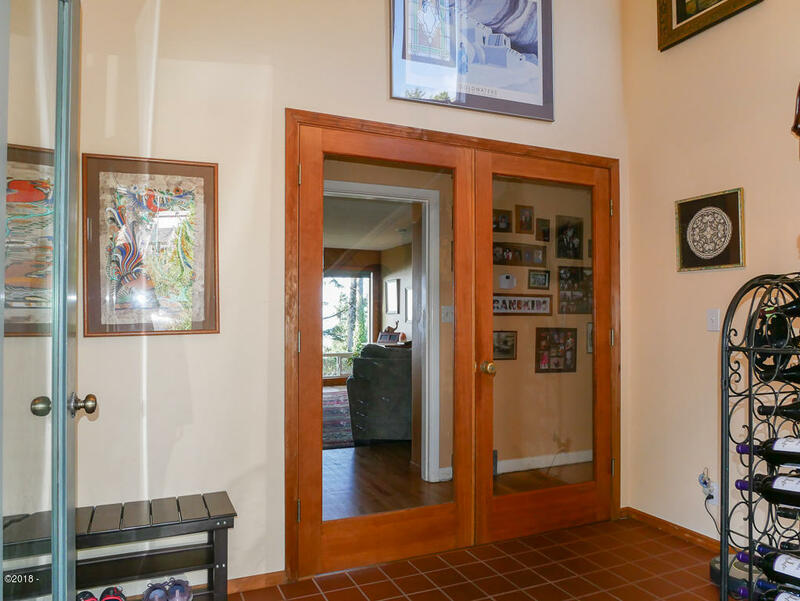 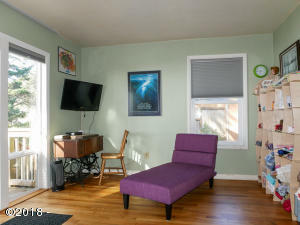 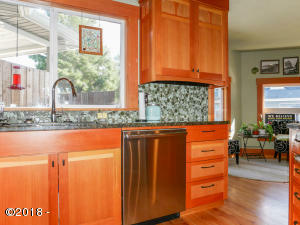 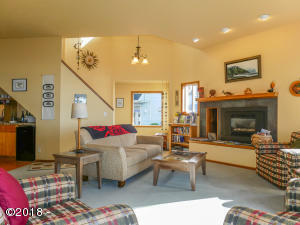 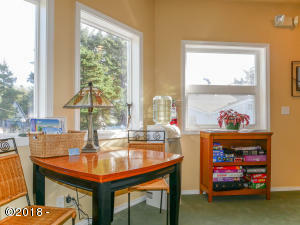 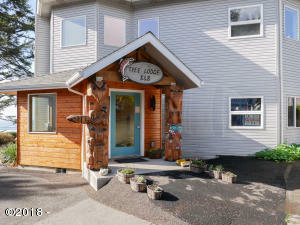 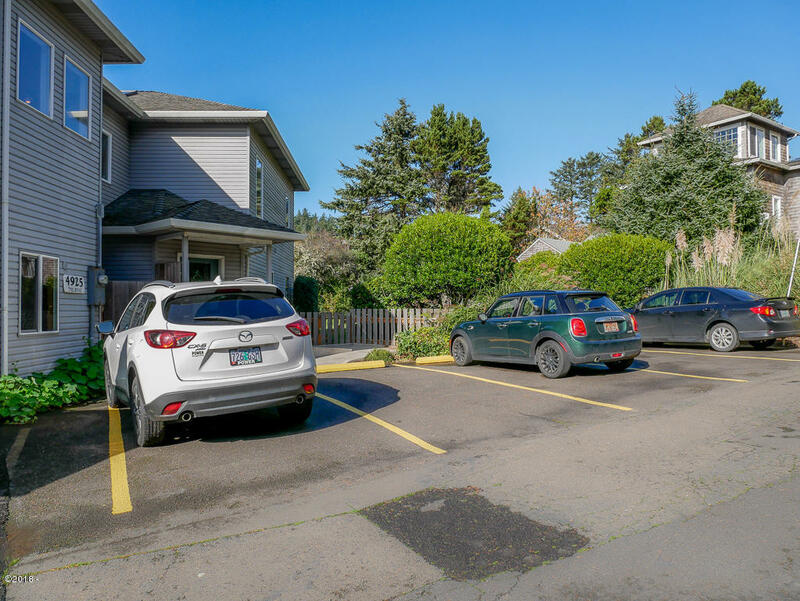 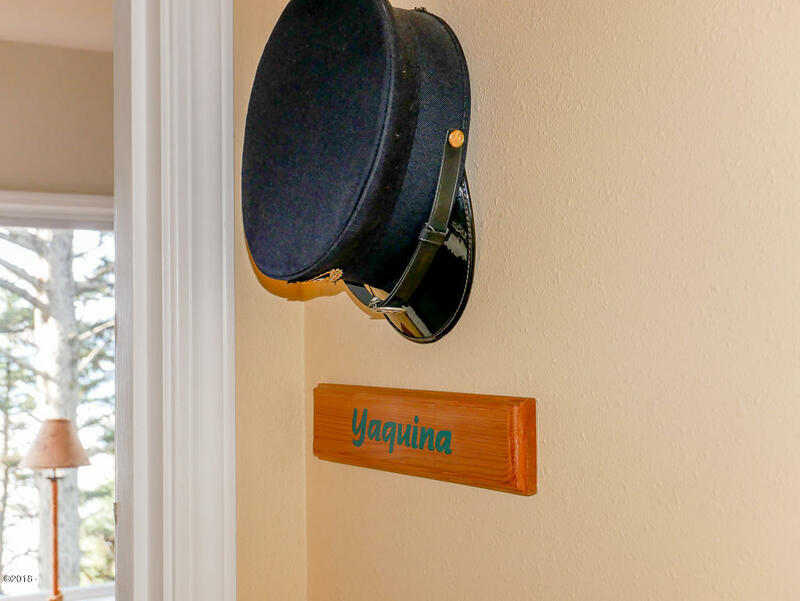 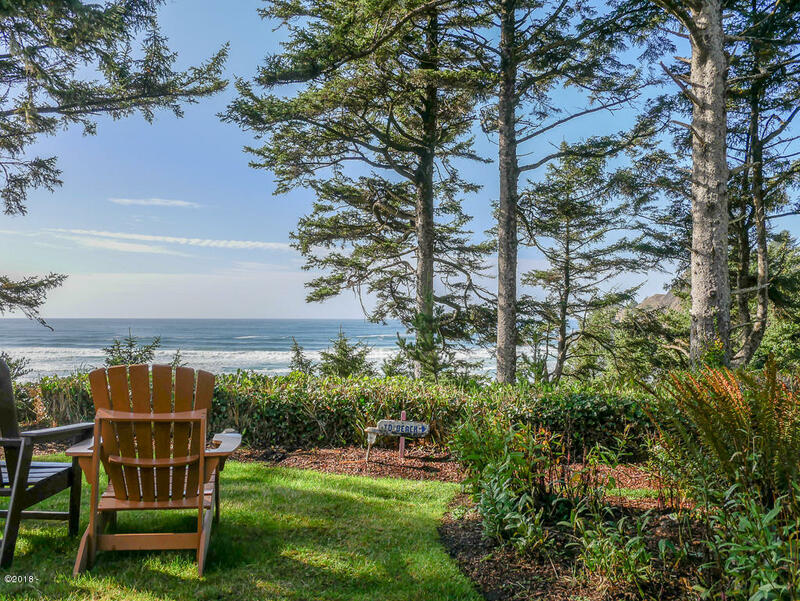 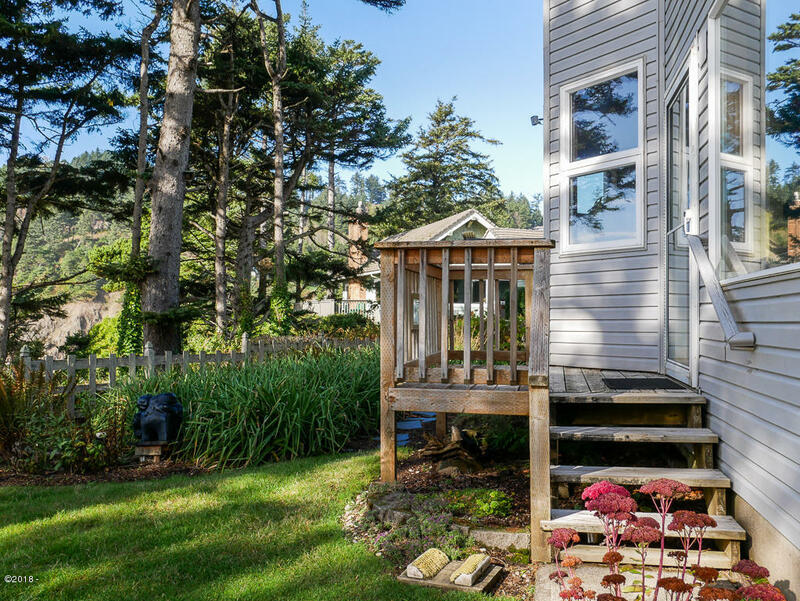 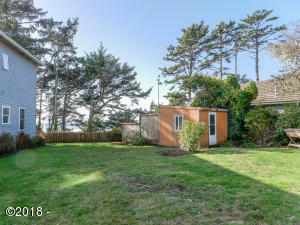 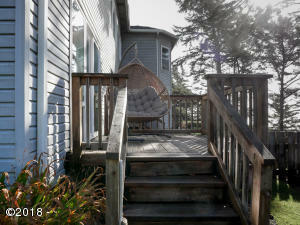 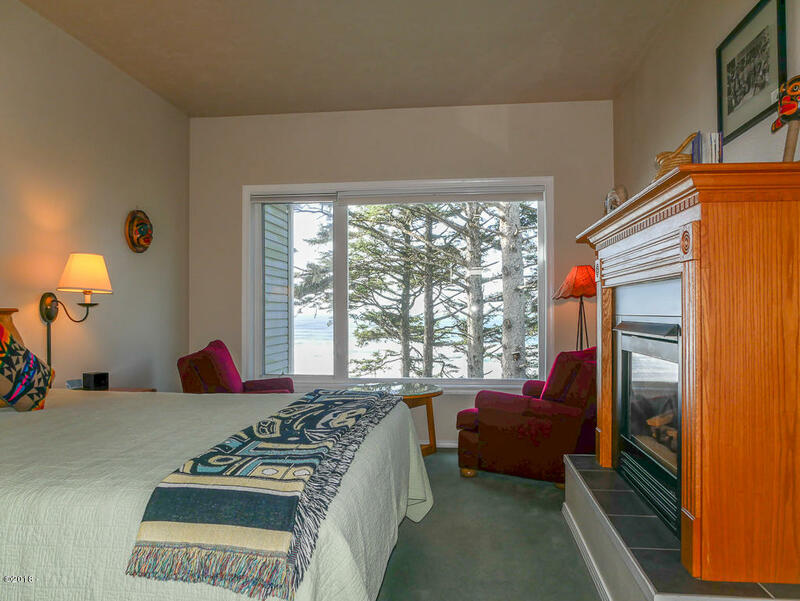 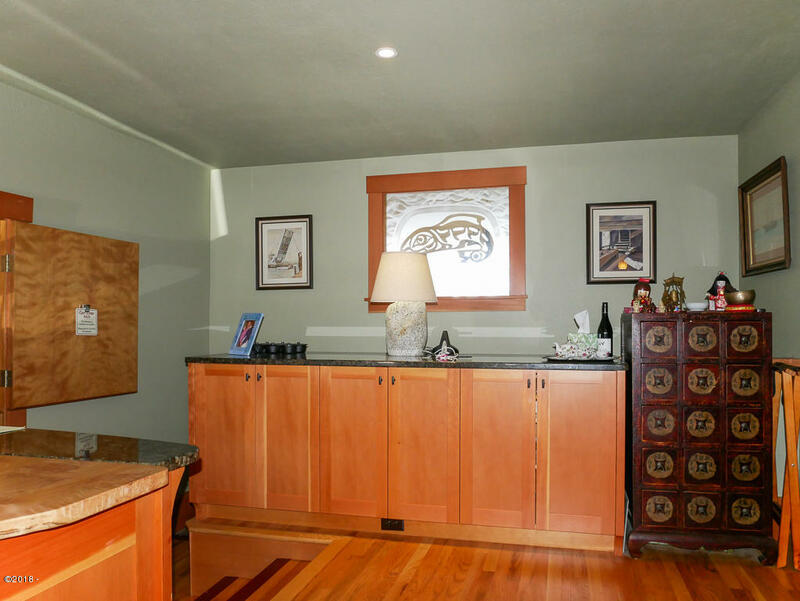 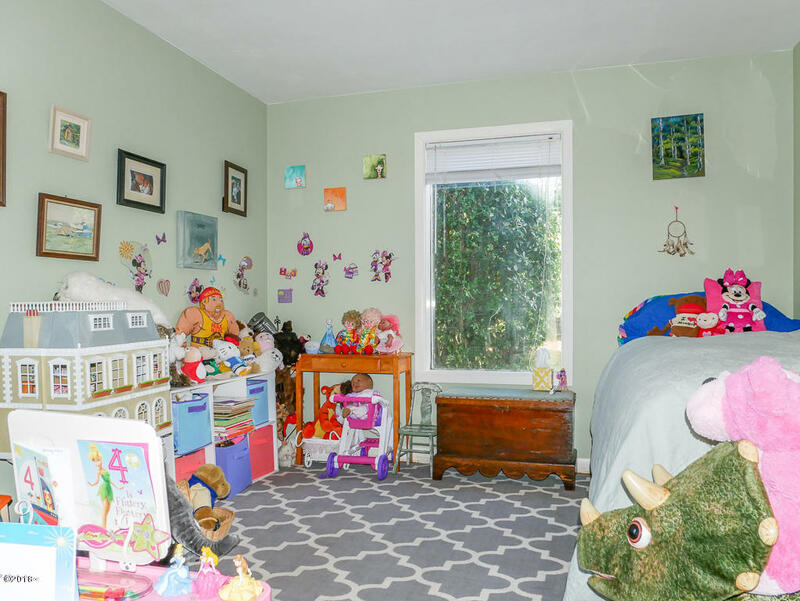 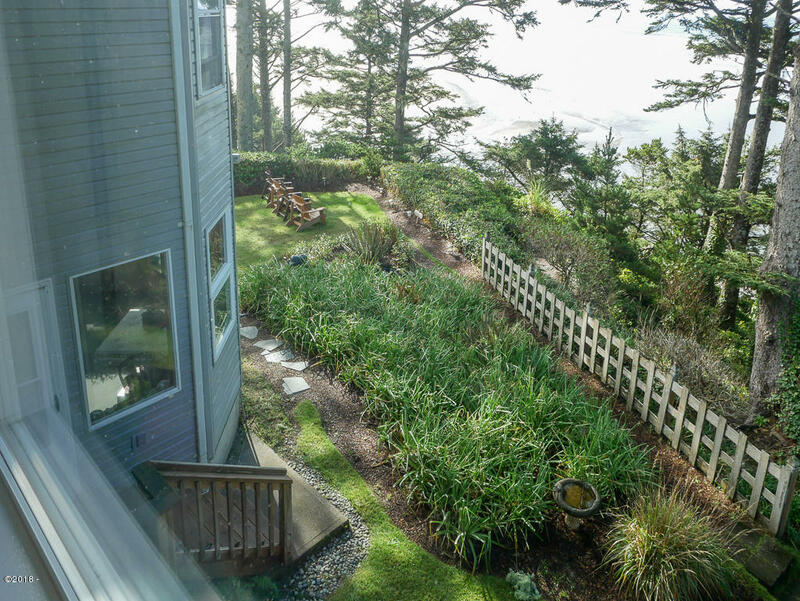 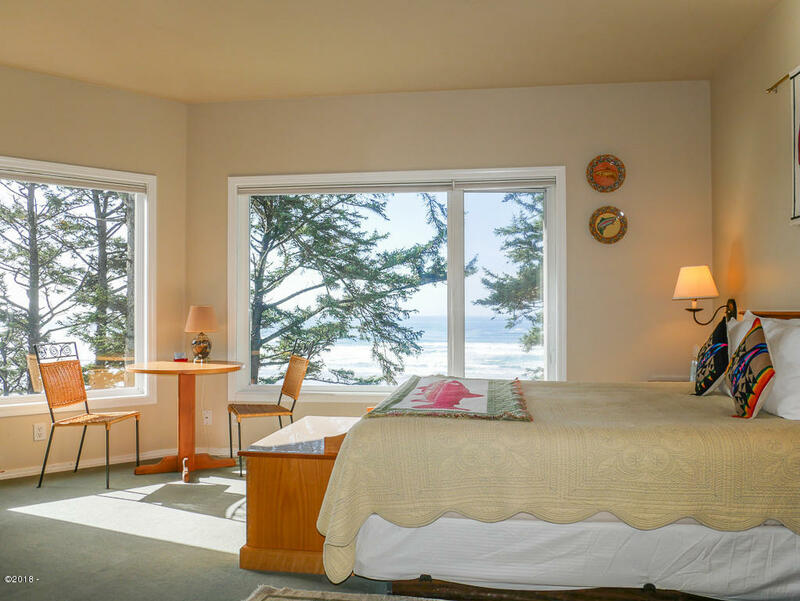 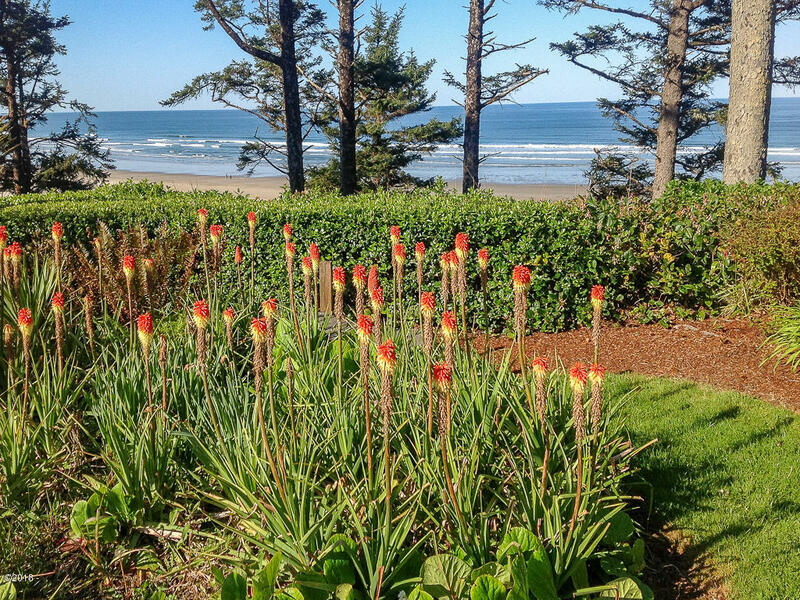 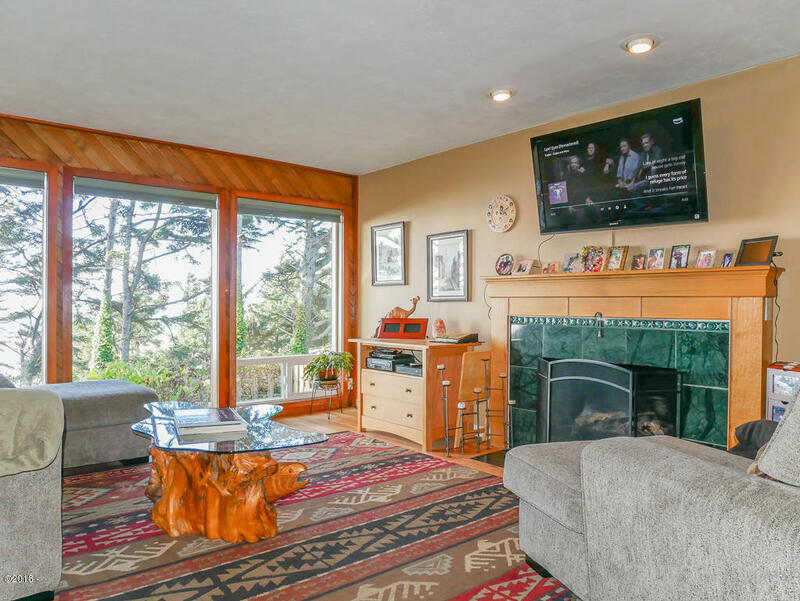 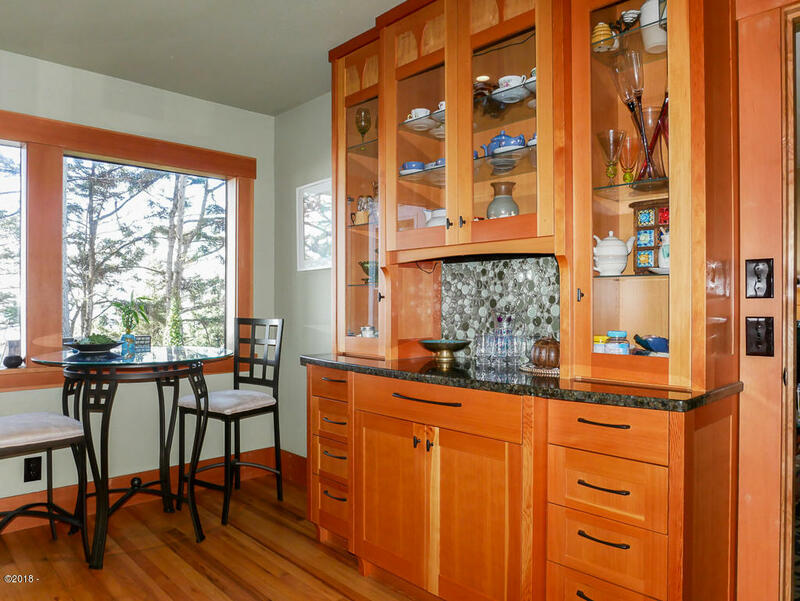 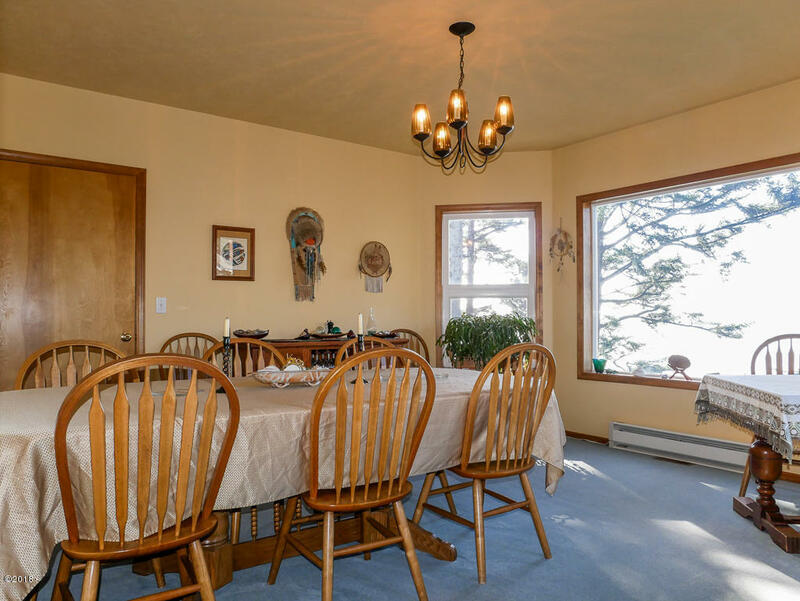 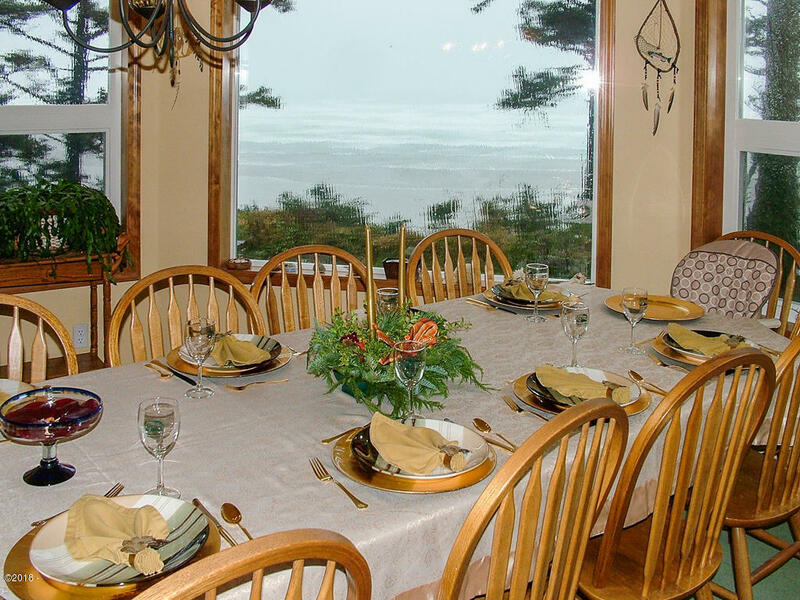 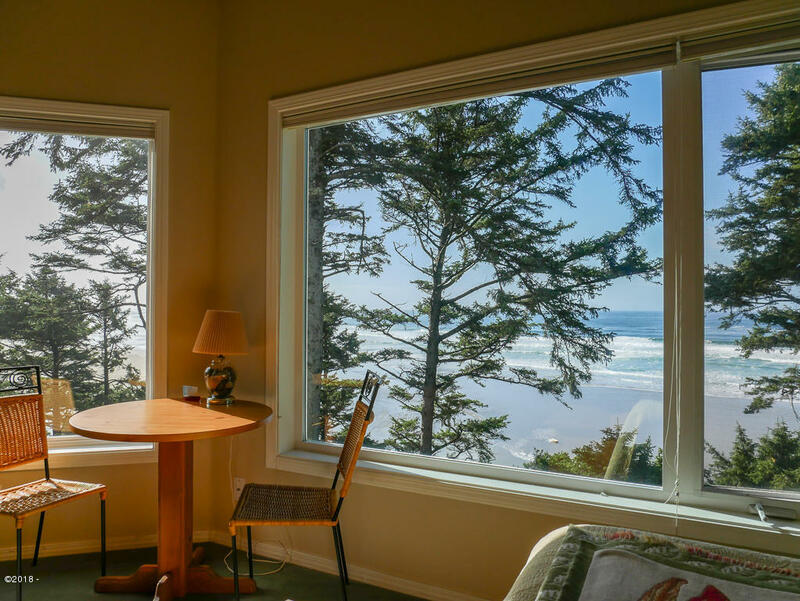 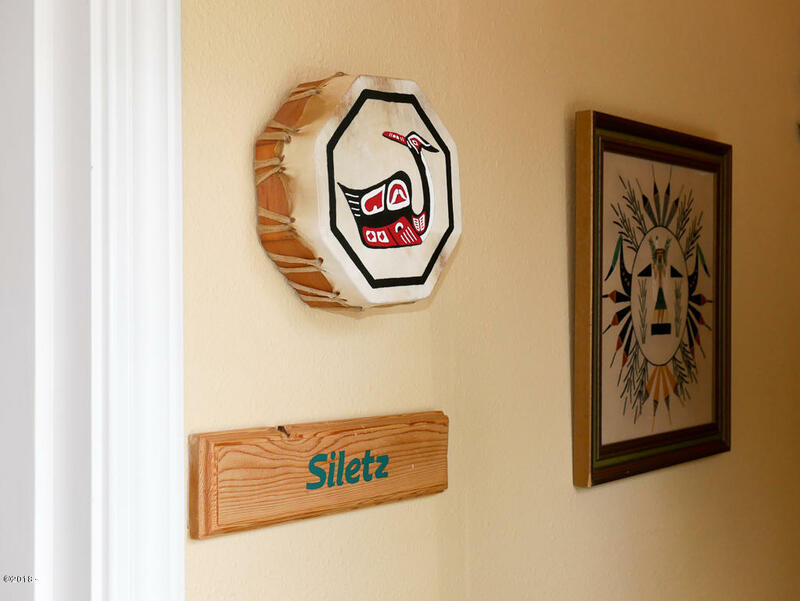 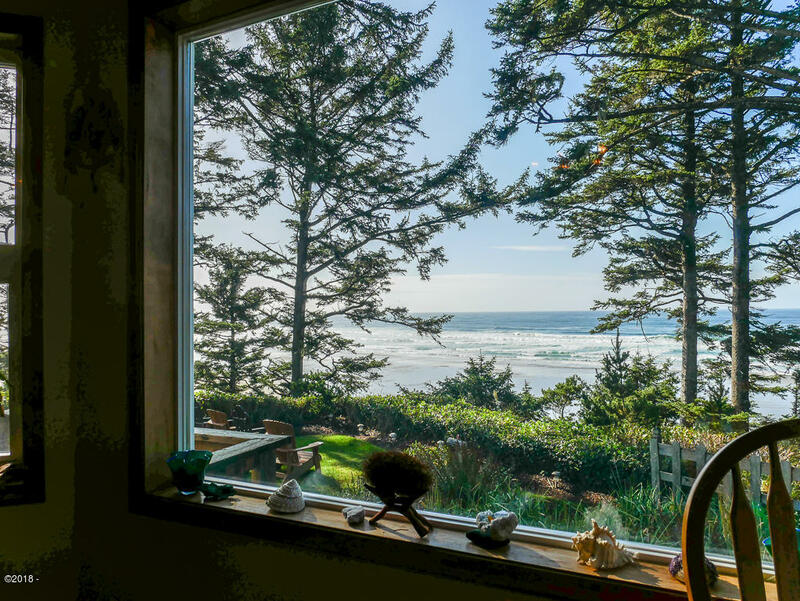 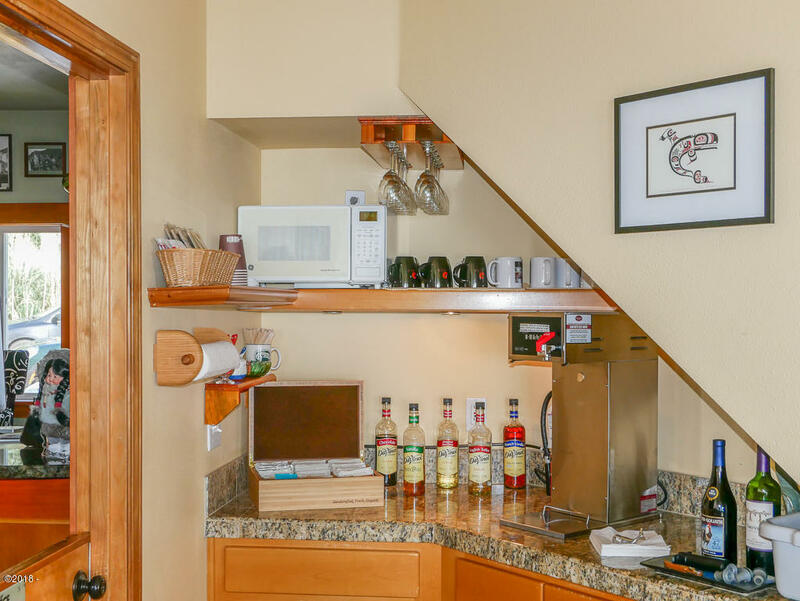 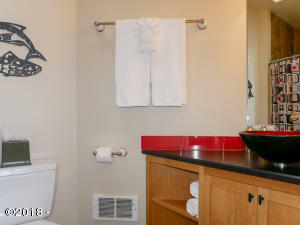 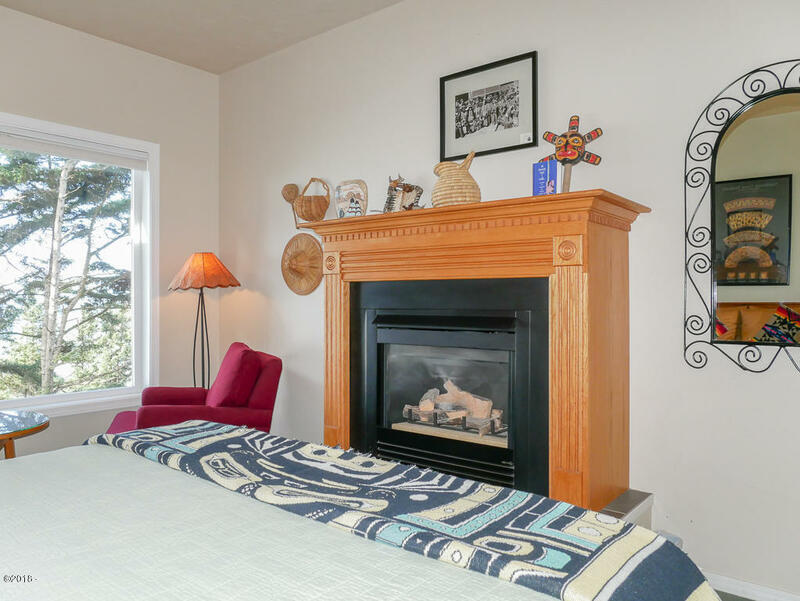 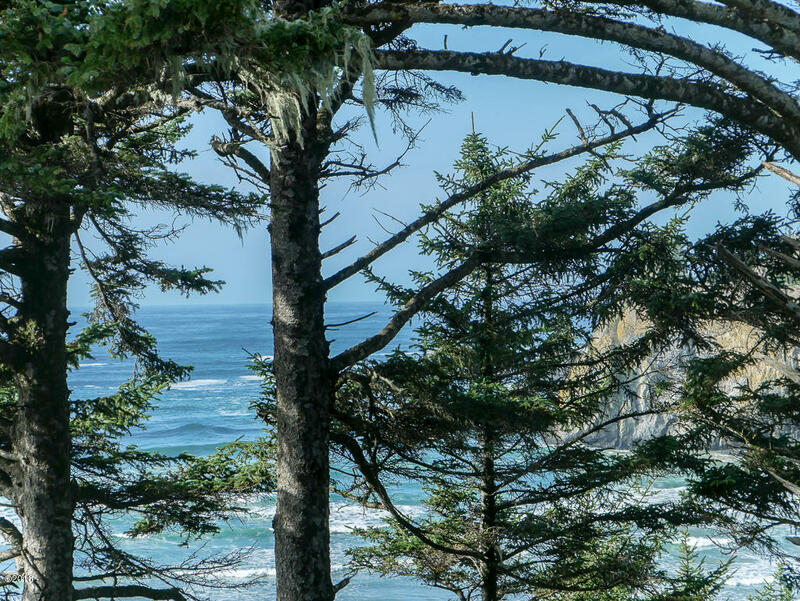 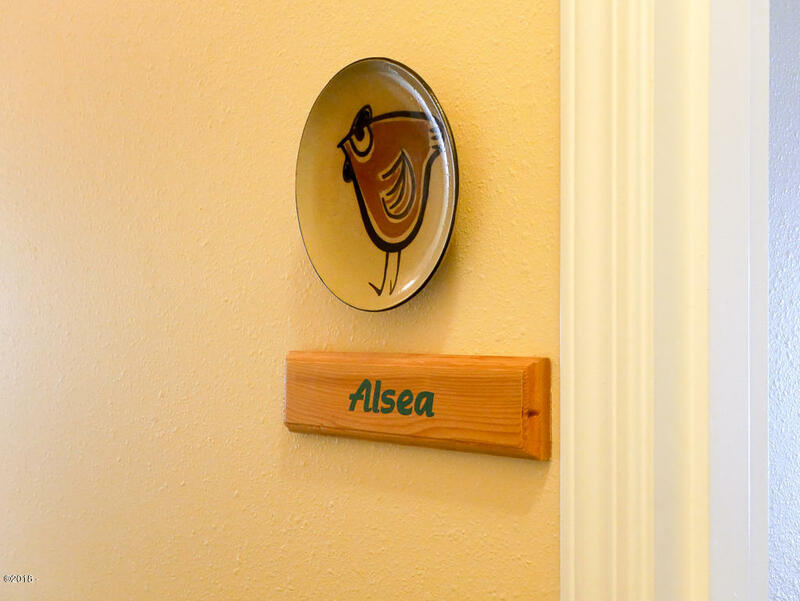 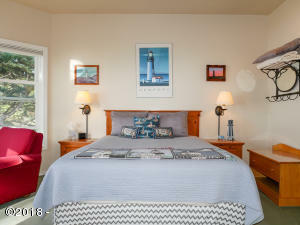 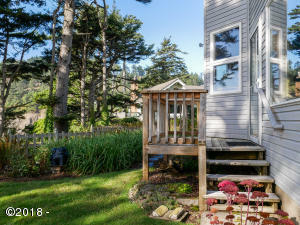 Located close to the Yaquina Head Natural Area, restaurants, shopping, Historic Bay Front, surfing, crabbing, fishing, and more, this would be a great place to call home! 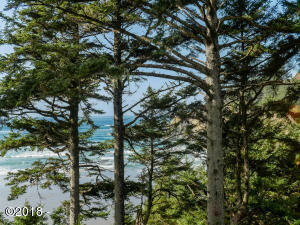 Directions Highway 101 to NW Woody Way, south of Roby's.